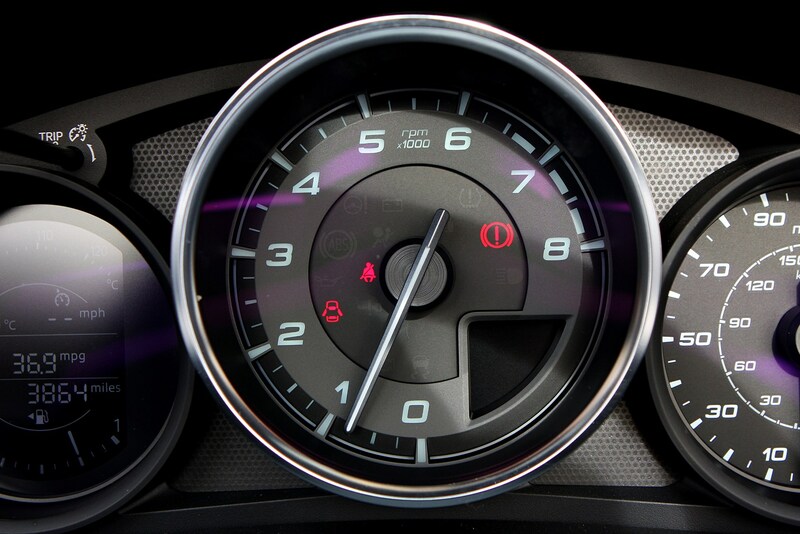 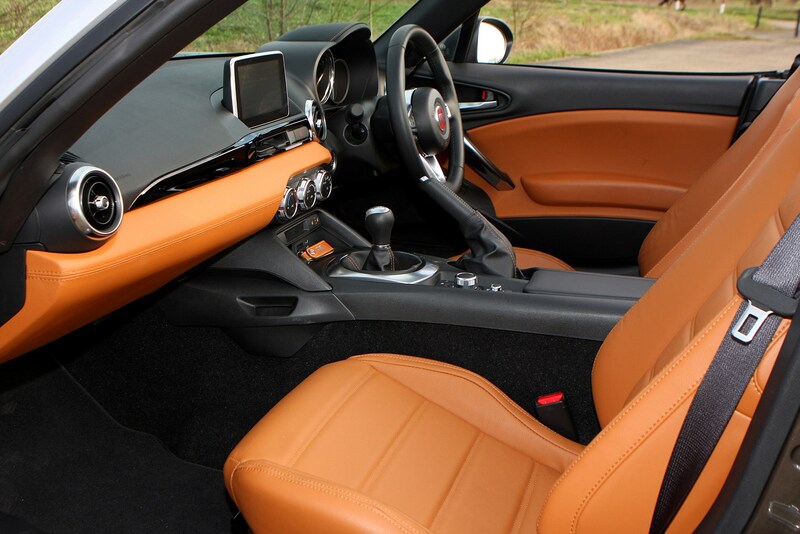 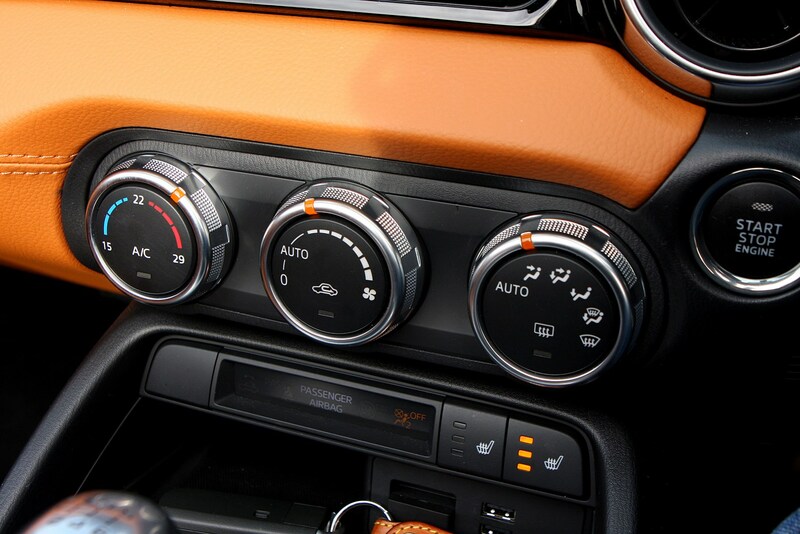 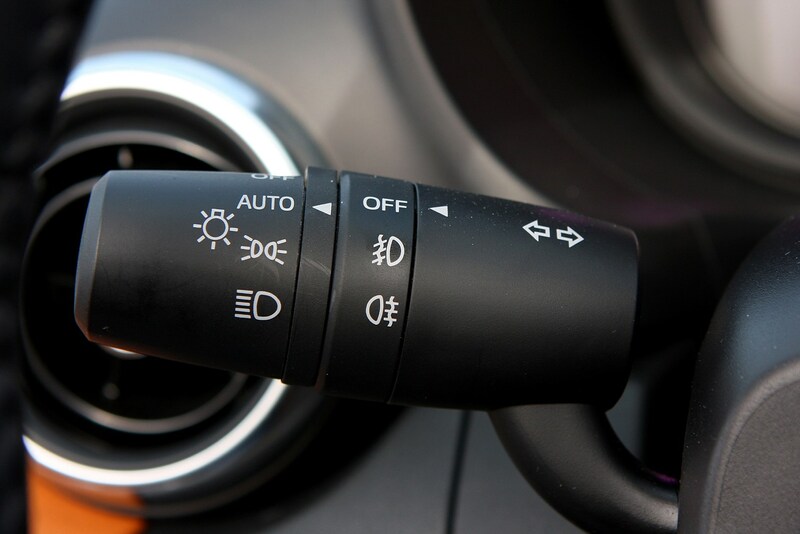 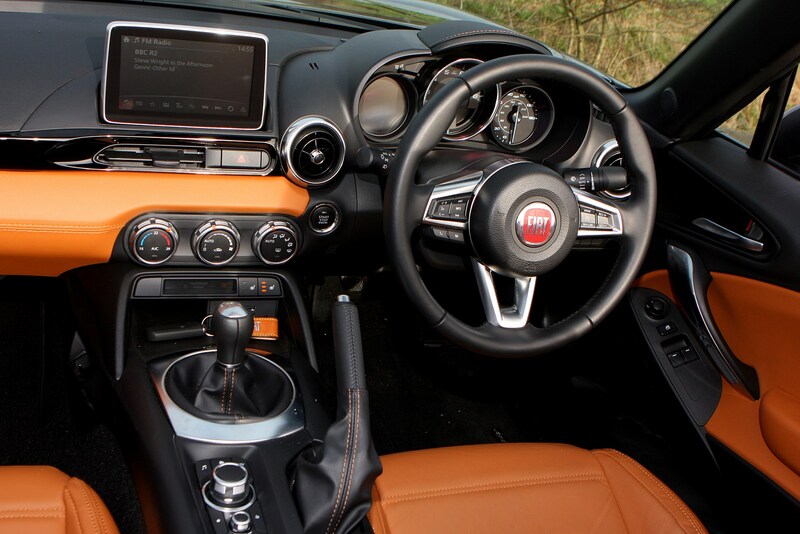 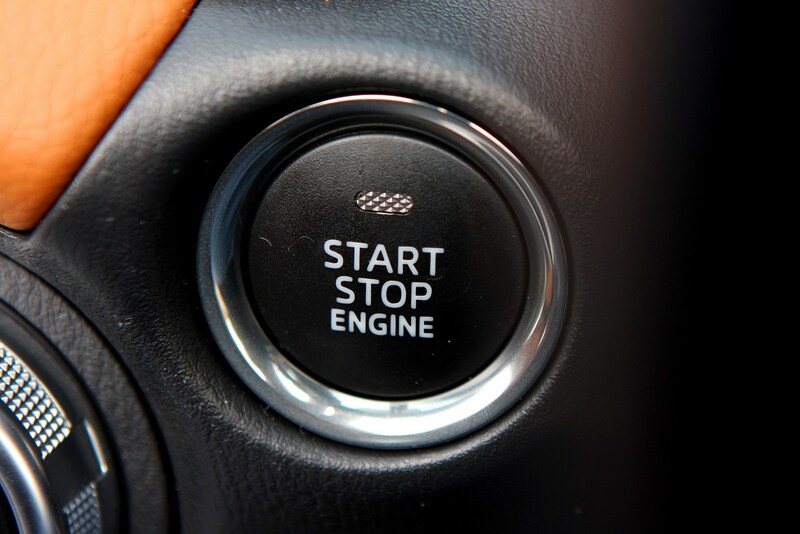 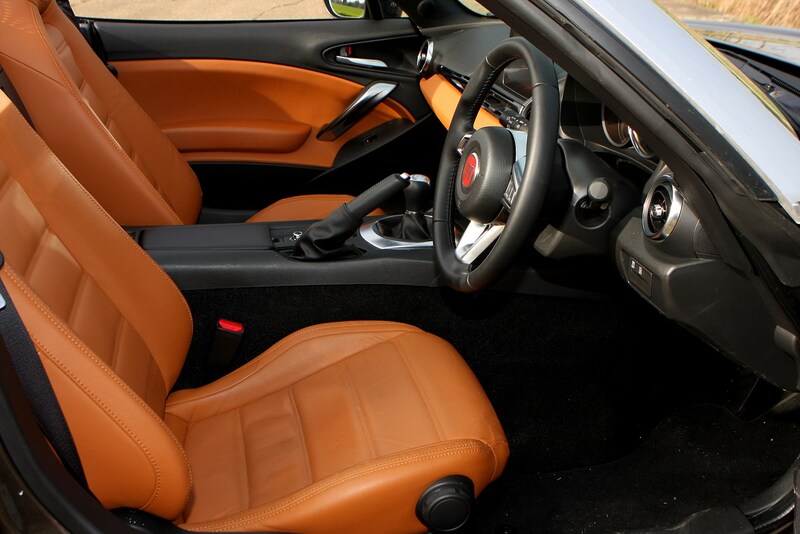 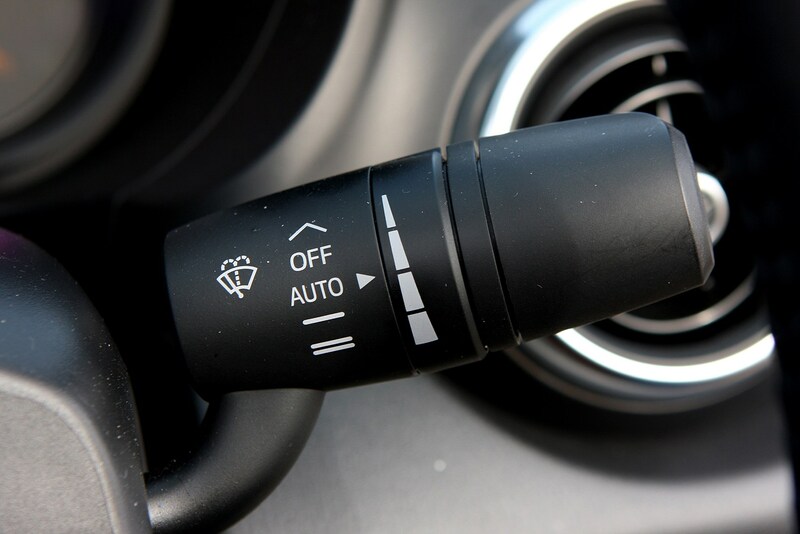 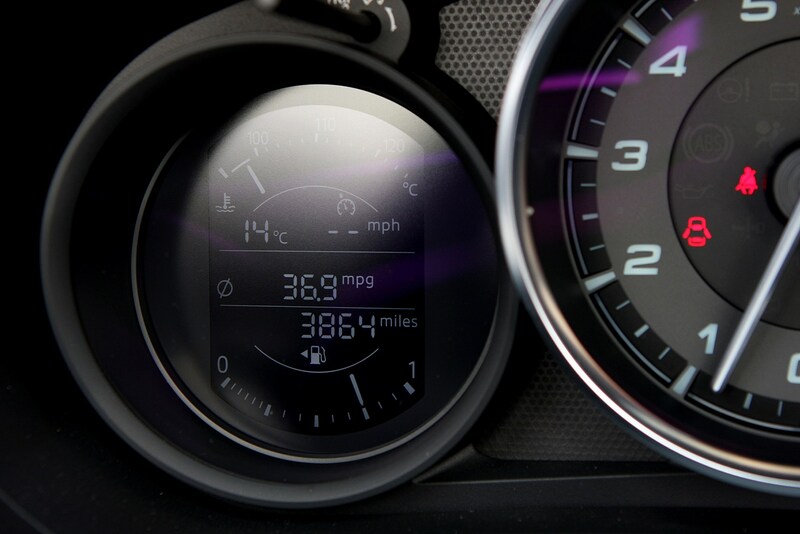 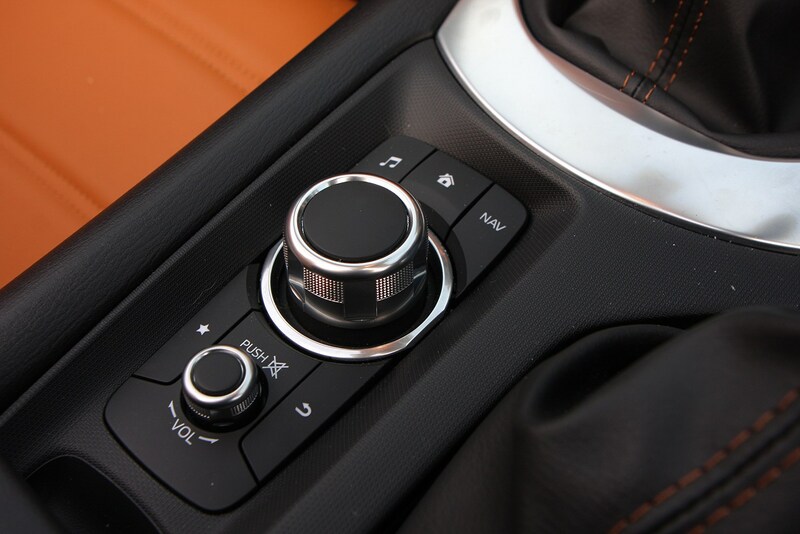 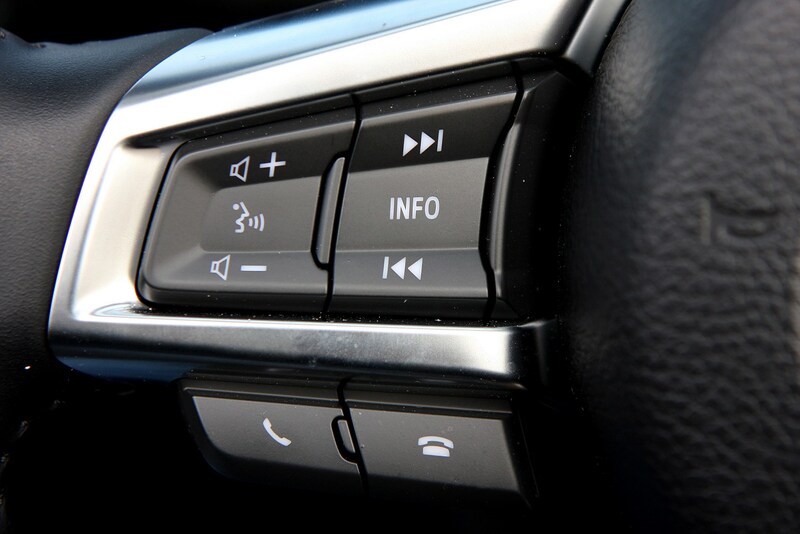 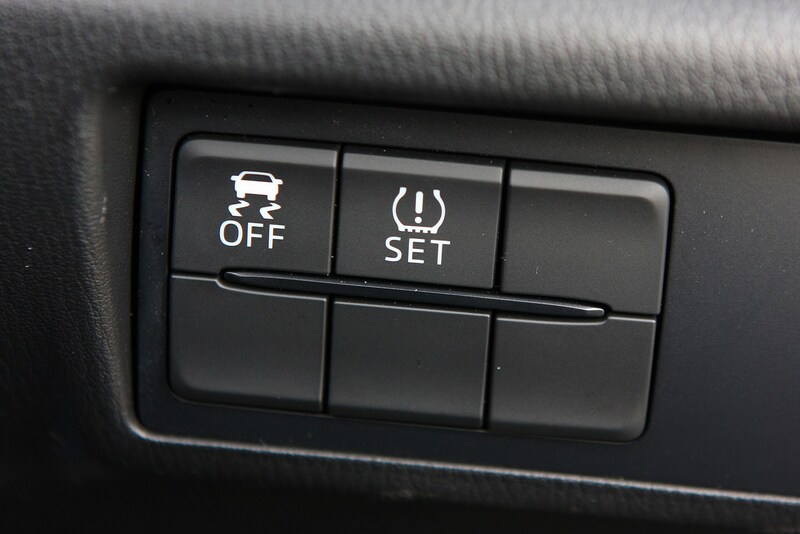 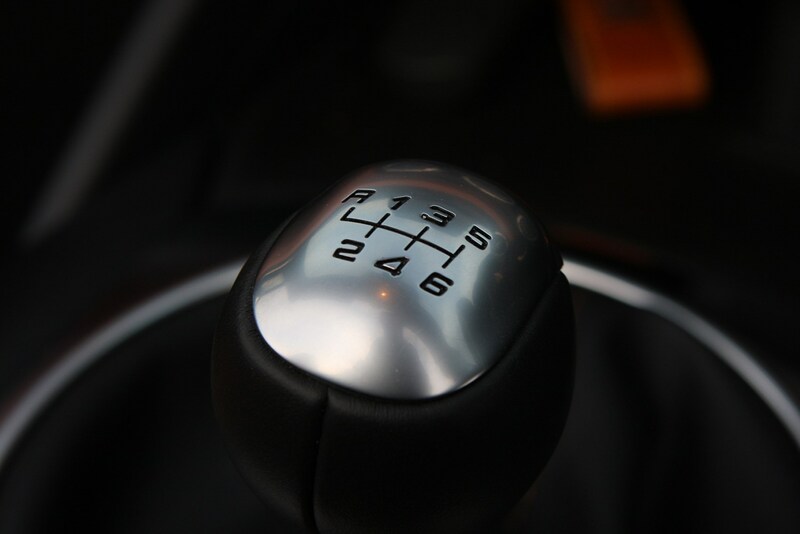 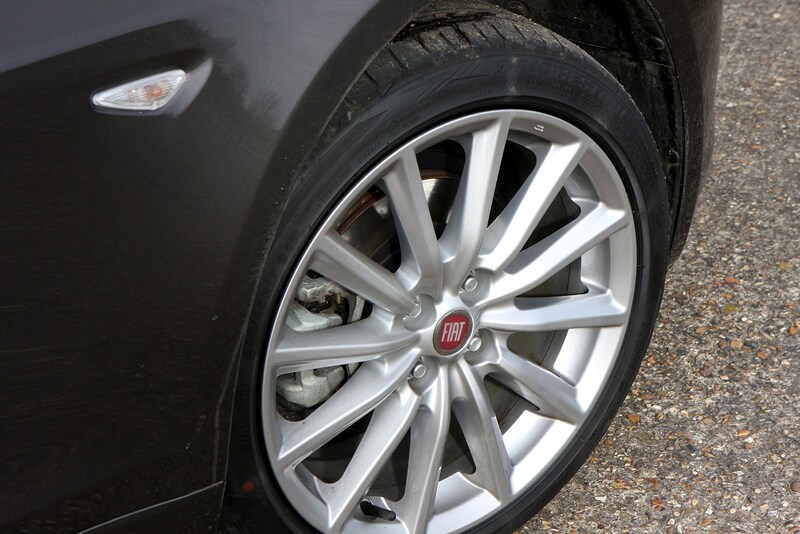 Regardless of trim you get a lot of kit in a Fiat 124, including air-conditioning, a leather steering wheel and gearknob, cruise control, alloy wheels, Bluetooth connectivity and keyless start. 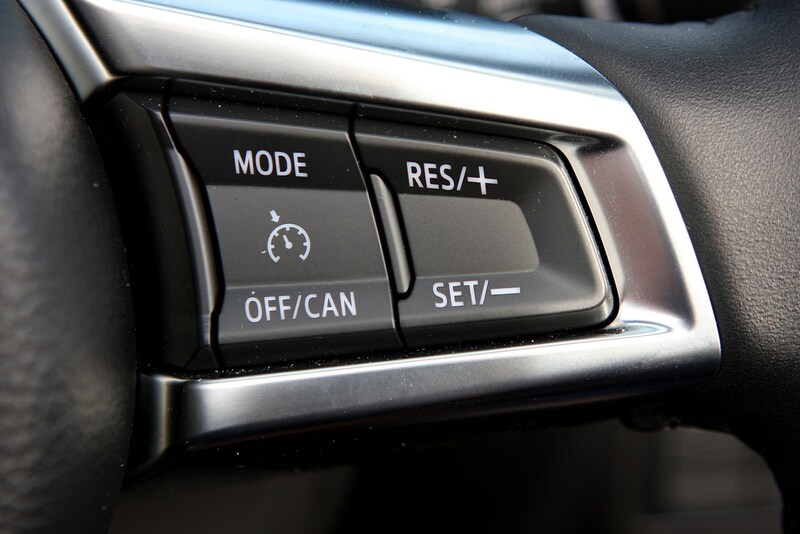 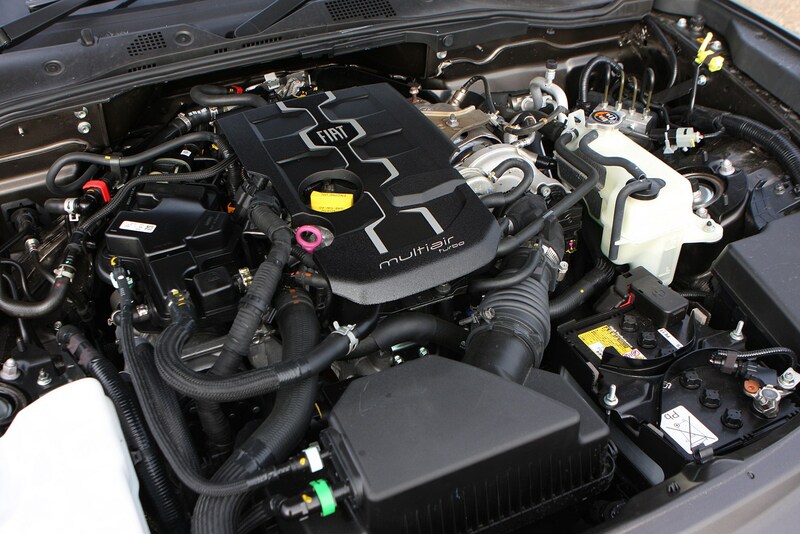 Entry-level cars get the standard spec above plus four airbags, 16-inch alloy wheels, and an infotainment system with USB, AUX and Bluetooth connectivity. 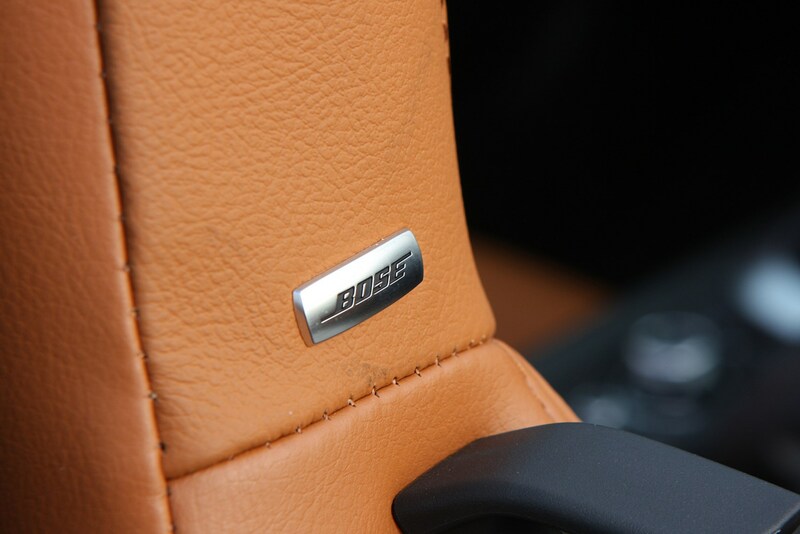 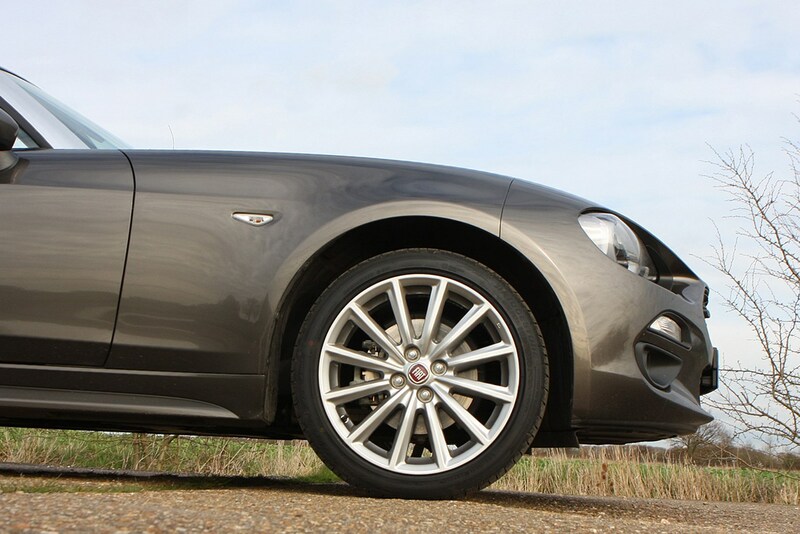 Middle-of-the-road Lusso gets a seven-inch media system with sat-nav, rear parking camera, 17-inch alloy wheels, heated leather upholstery, automatic climate control, front foglamps, keyless entry, chrome exhaust tips and a premium silver finish on the windscreen frame and rollover bars. 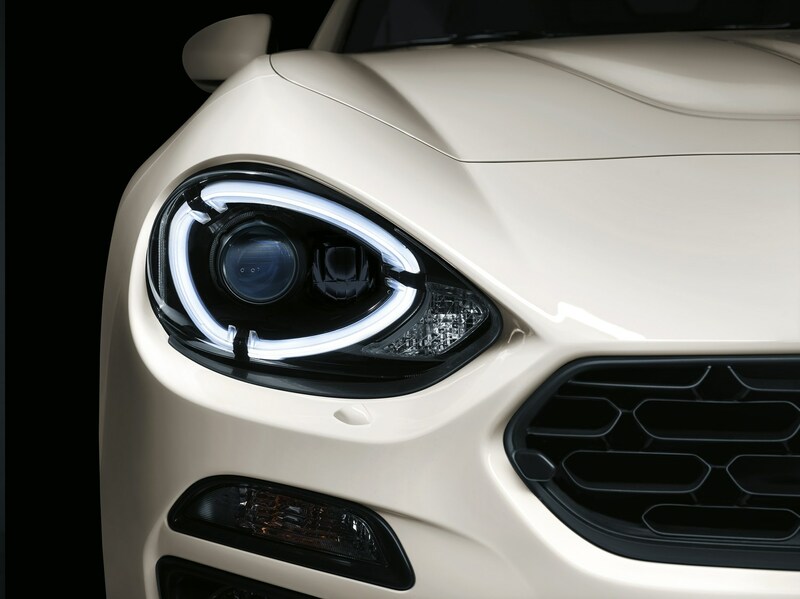 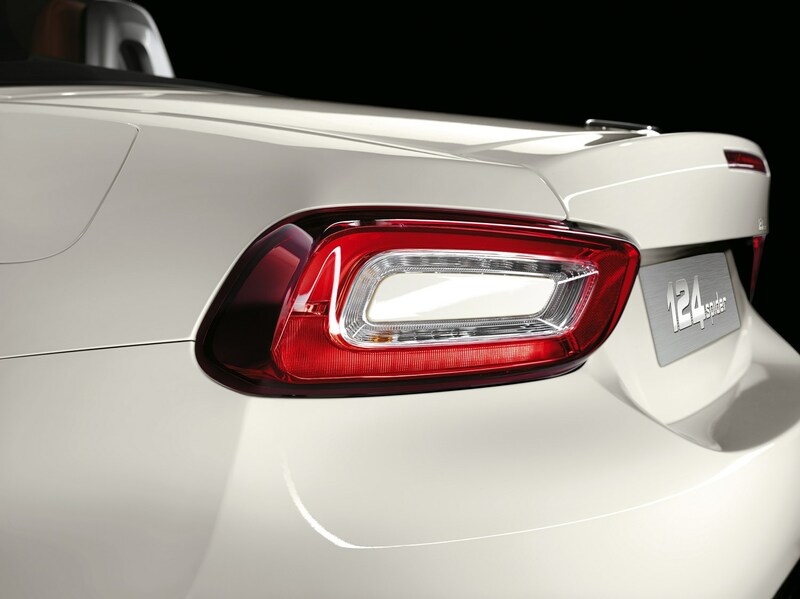 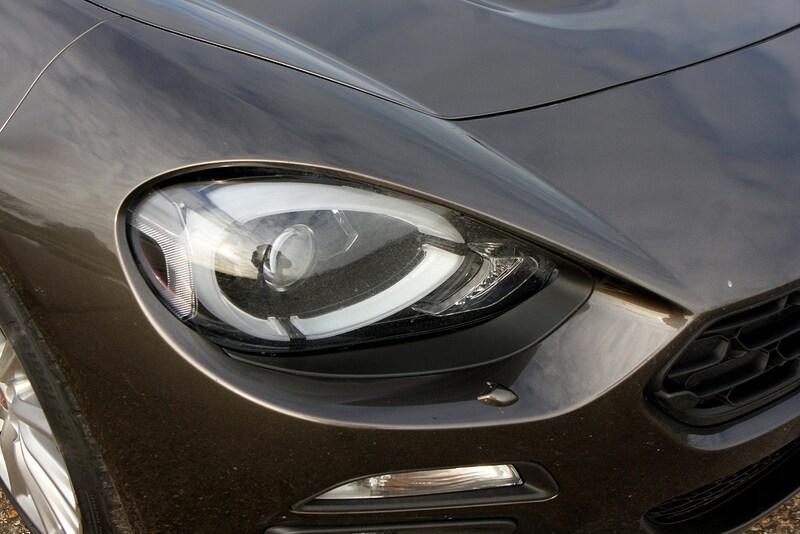 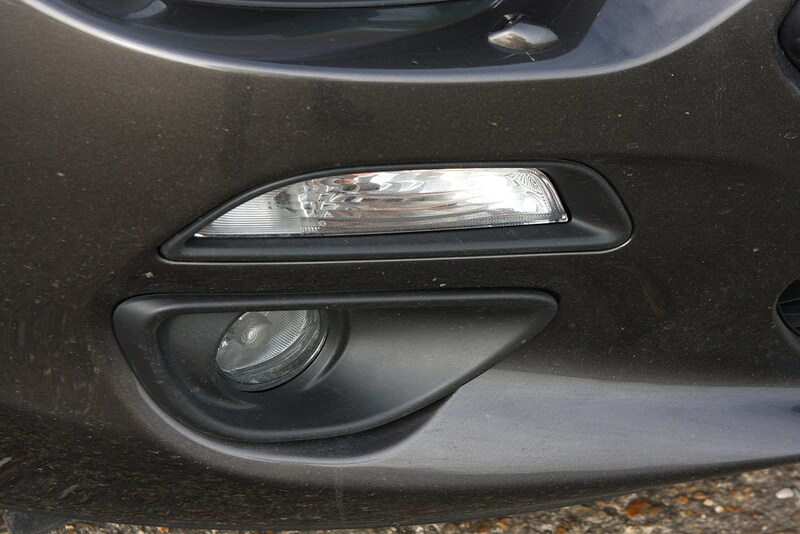 Top-of-the-range Lusso Plus adds adaptive LED headlamps, LED daytime-running lights, automatic lights and wipers and a nine-speaker Bose sound system. 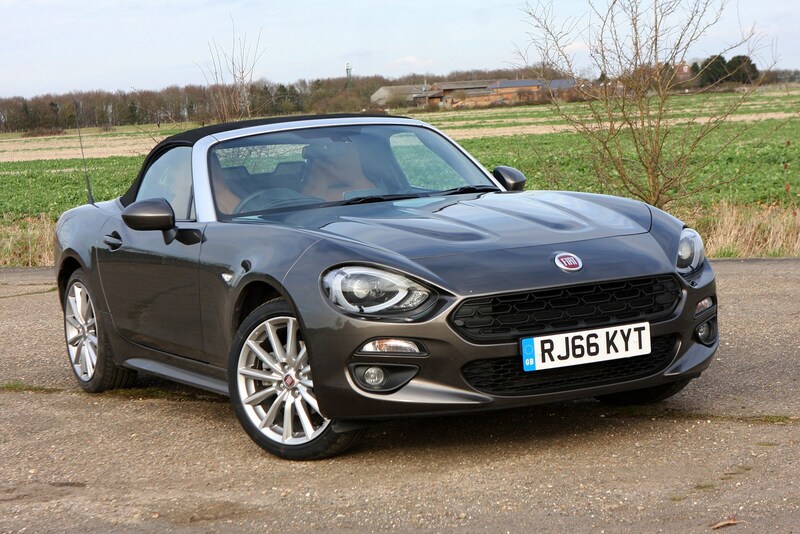 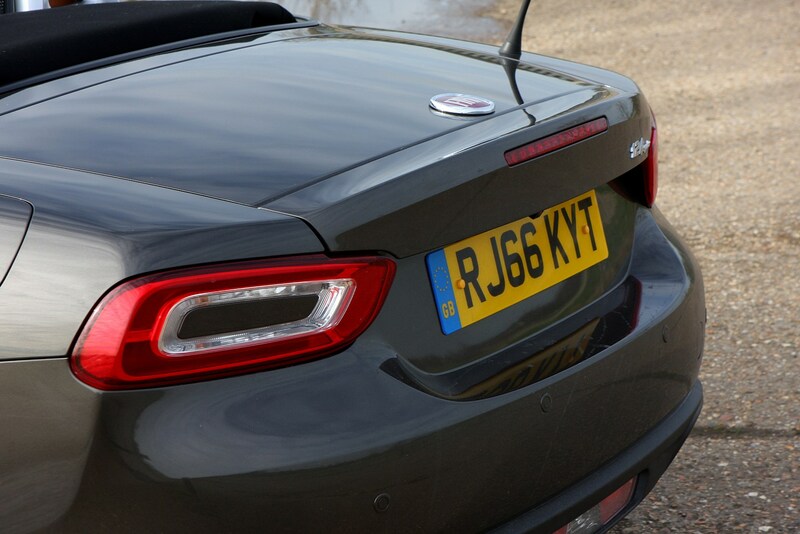 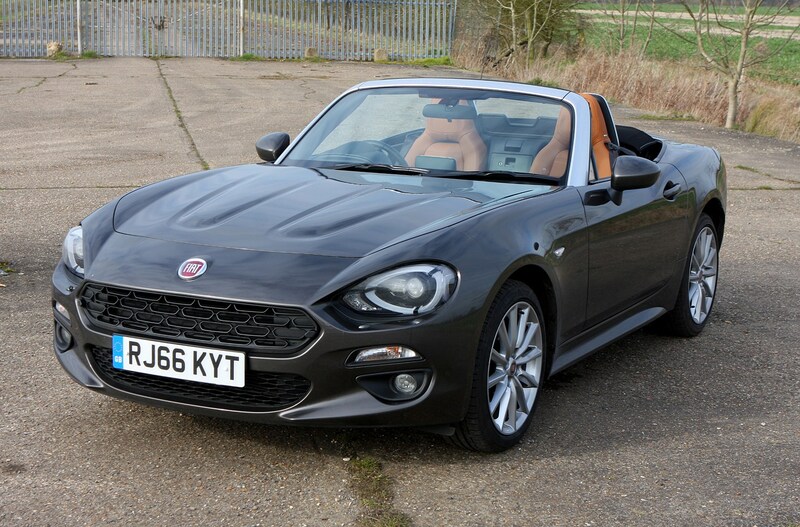 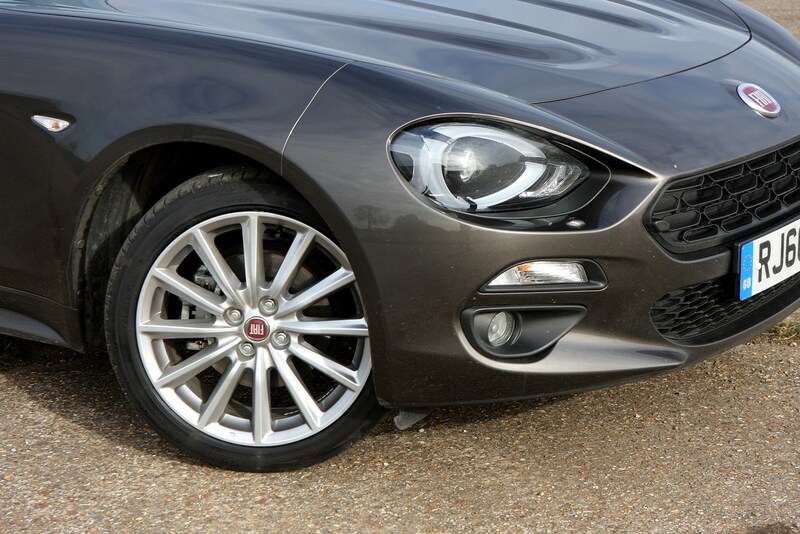 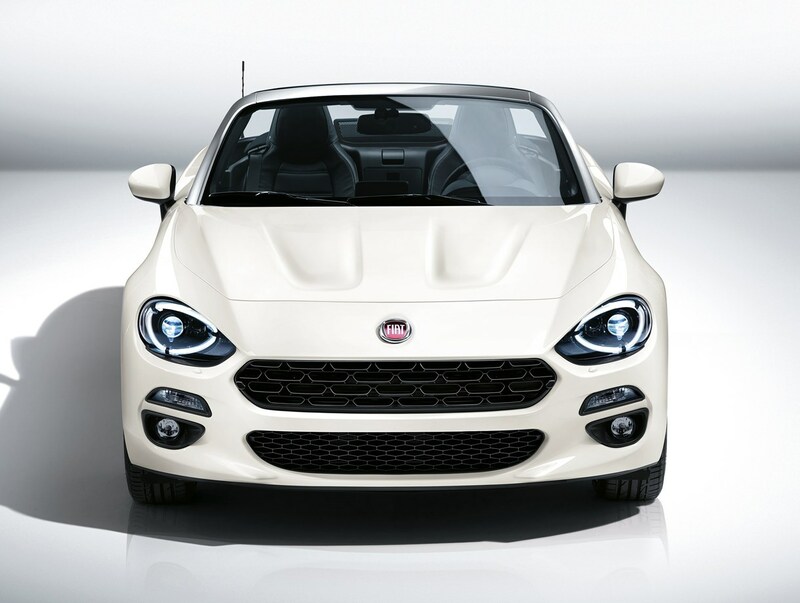 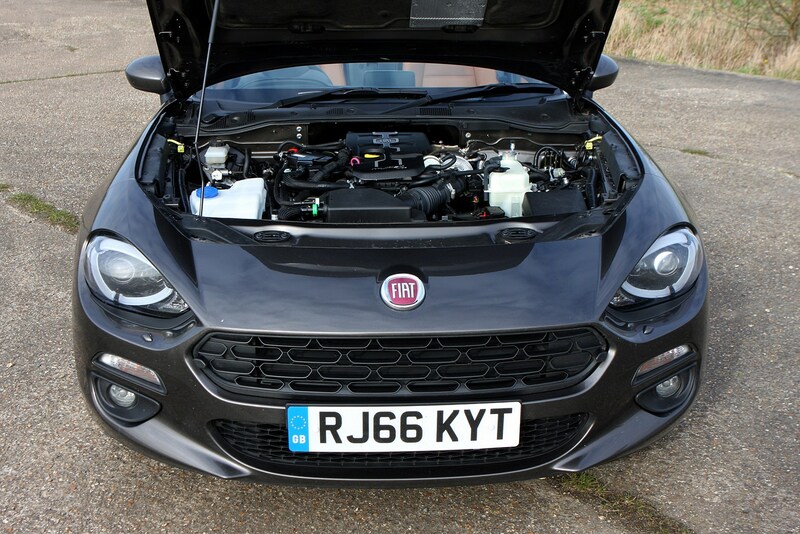 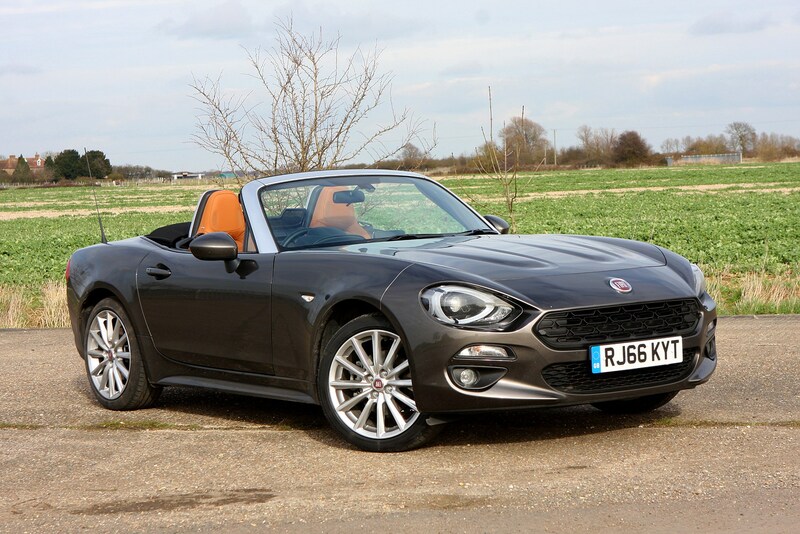 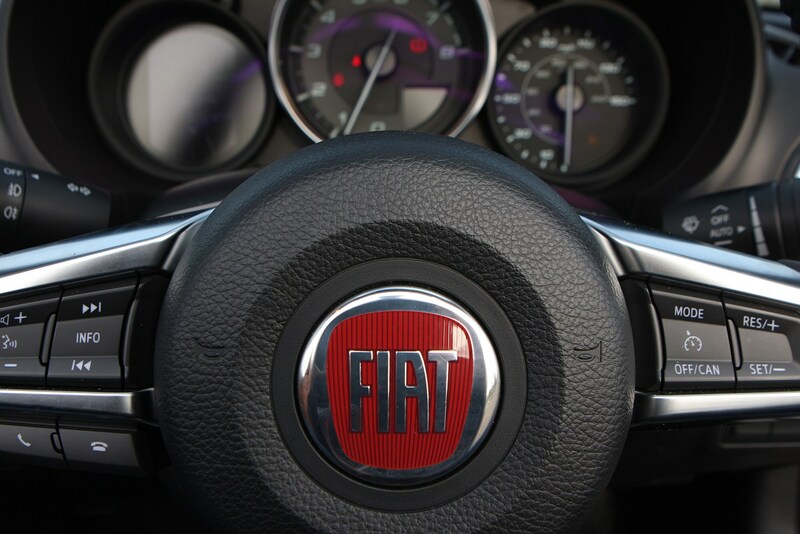 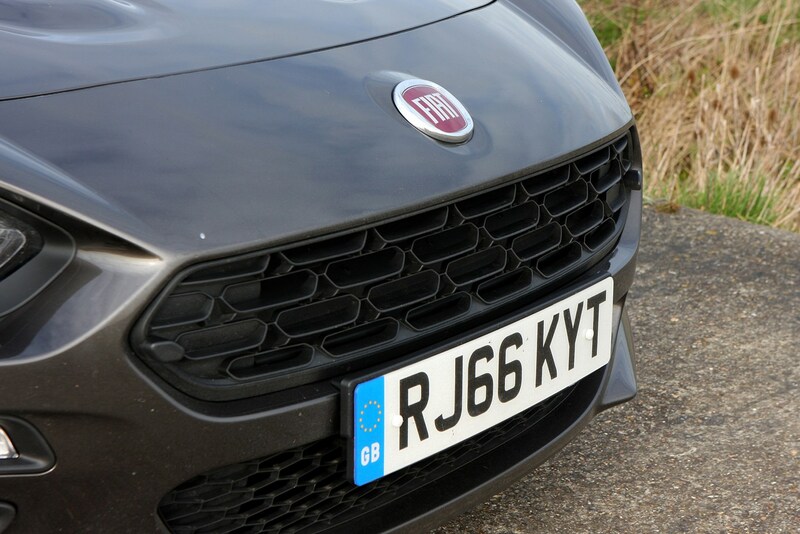 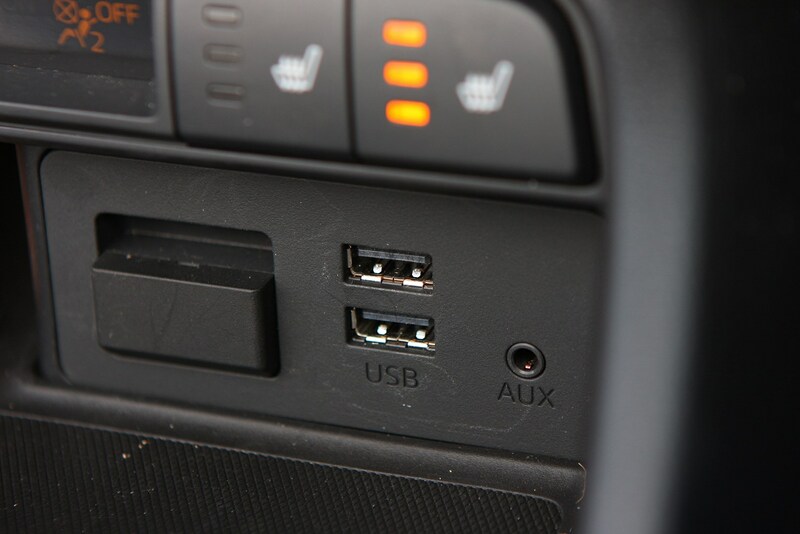 There are very few options for the Fiat 124, although you can add some items to the Classico model including: the seven-inch touchscreen media system with DAB digital radio, Wi-Fi, two USB ports and a multimedia control knob. 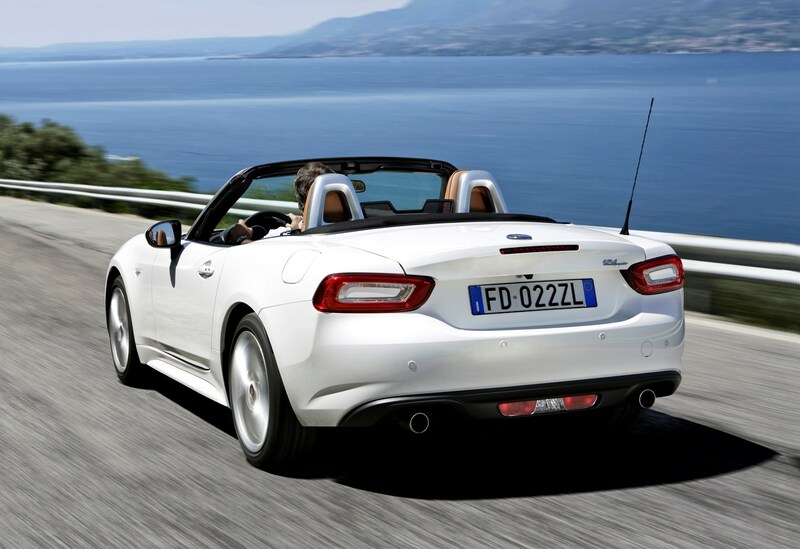 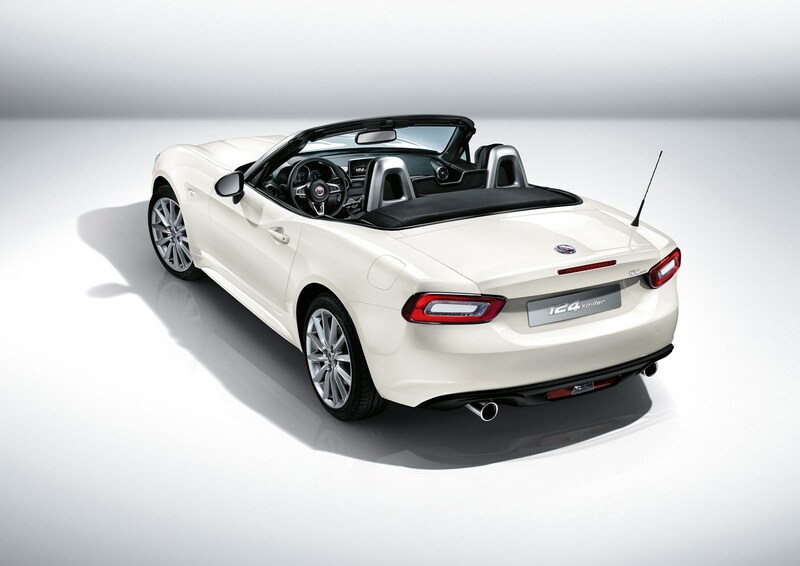 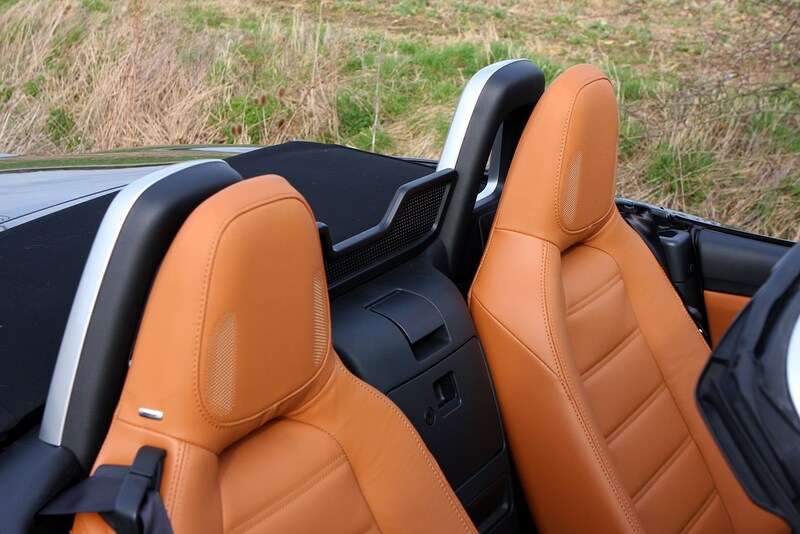 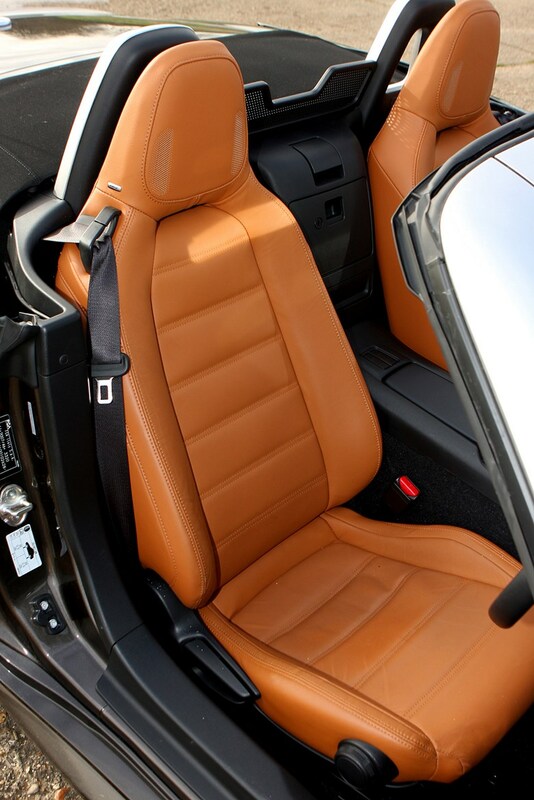 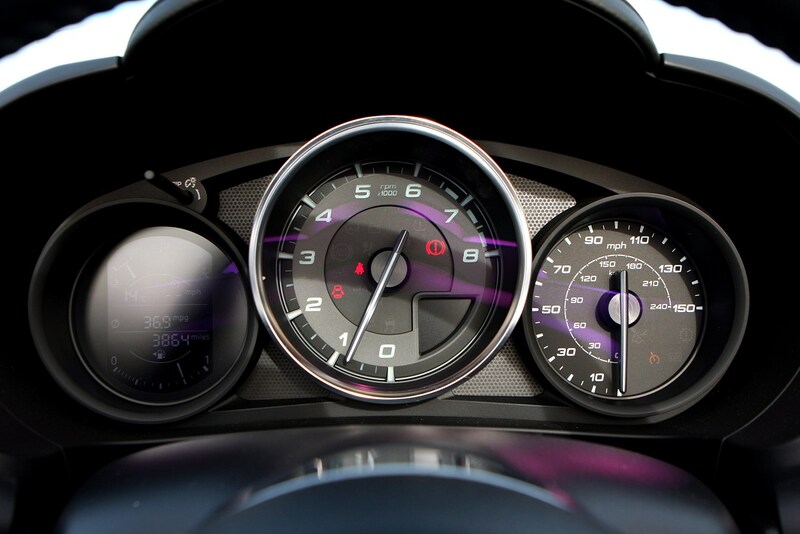 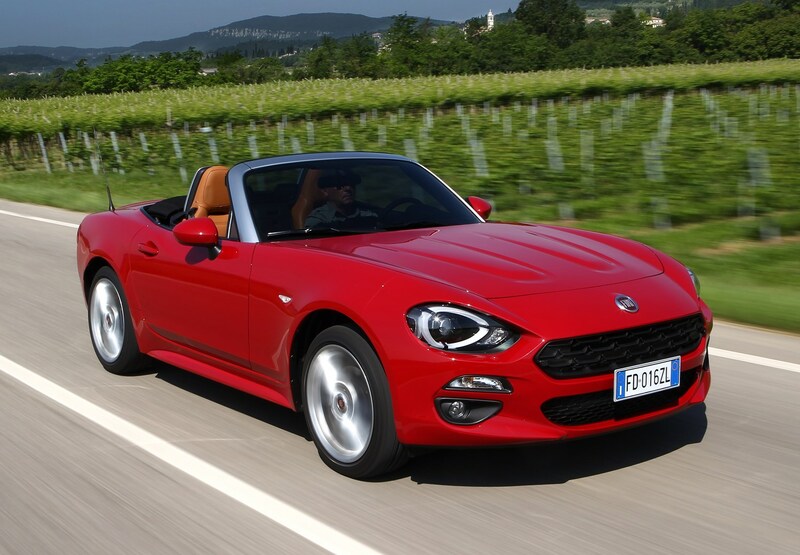 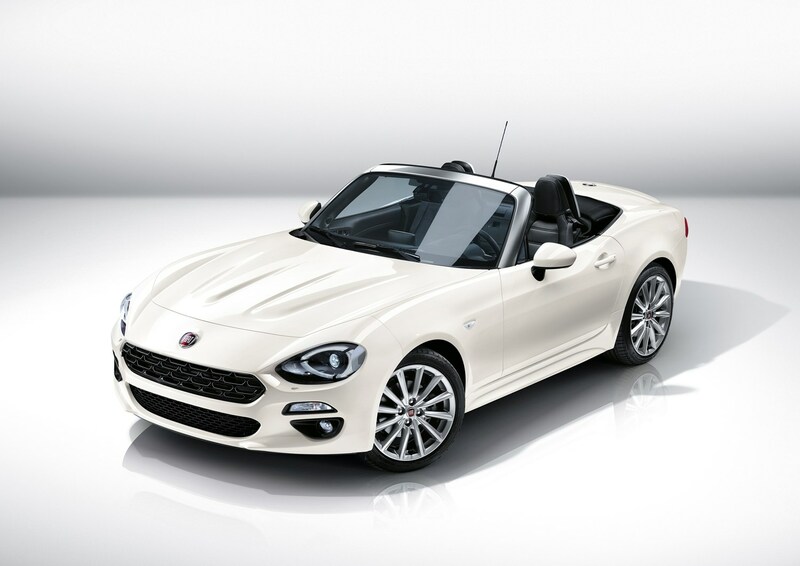 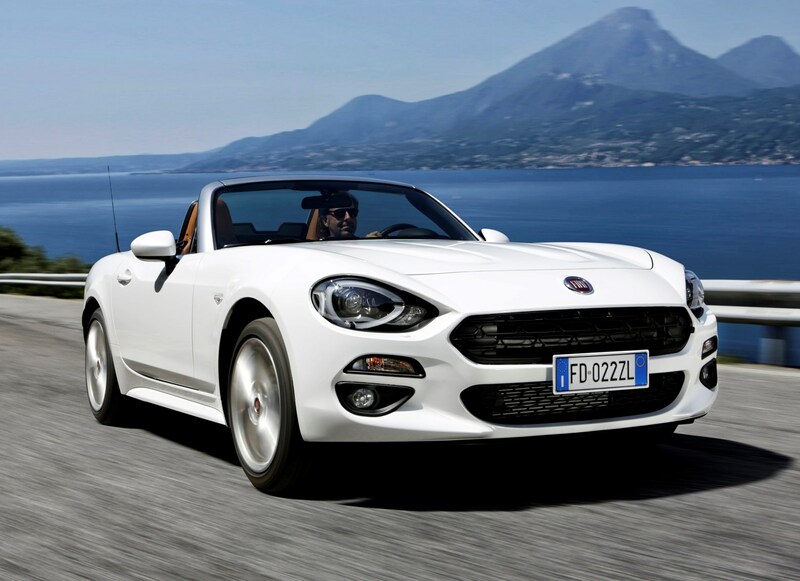 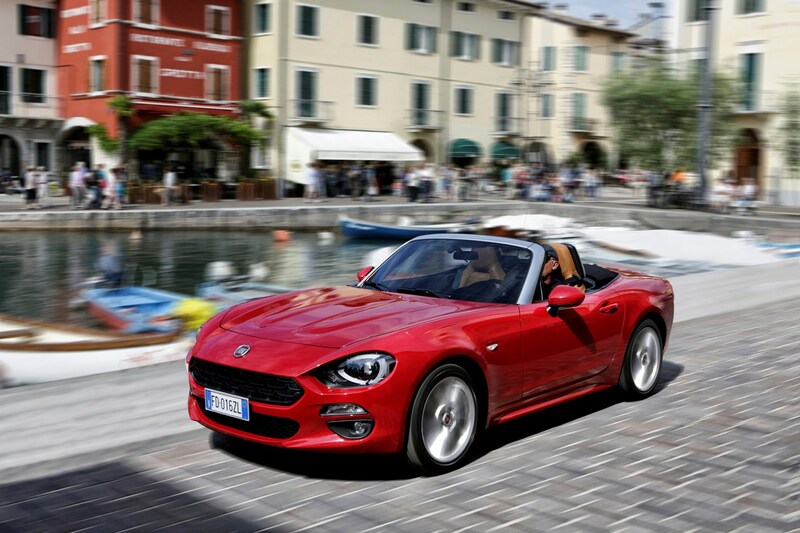 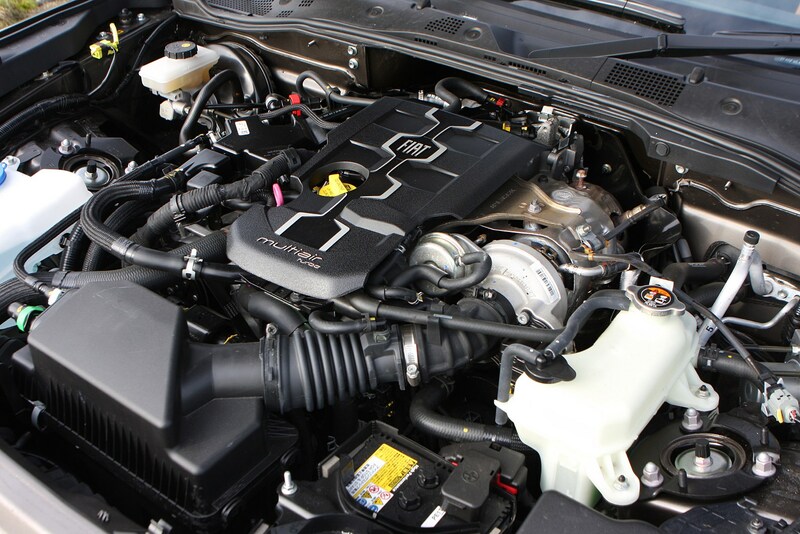 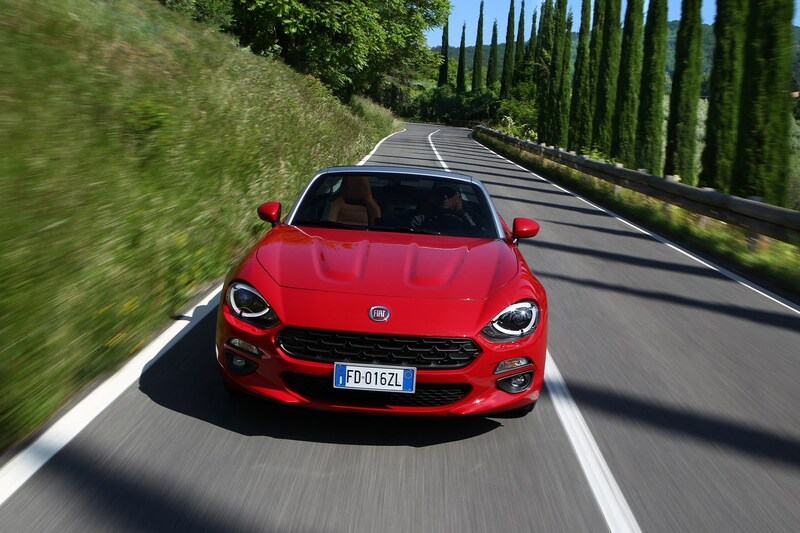 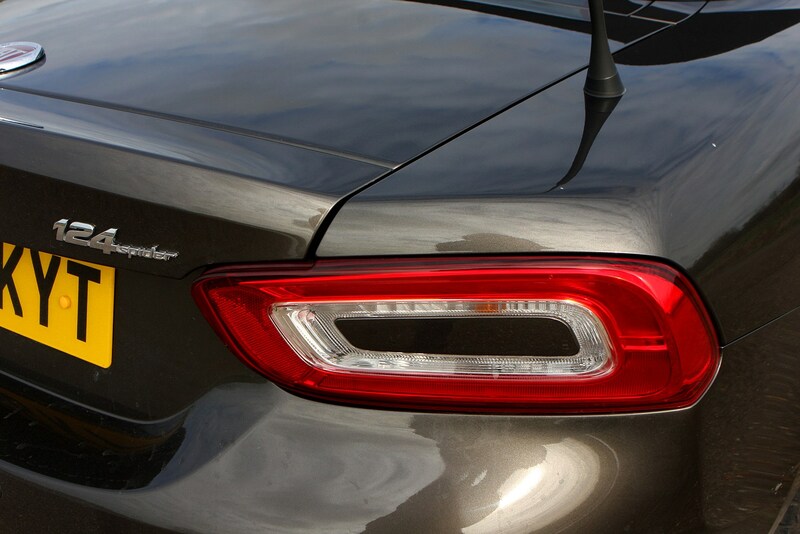 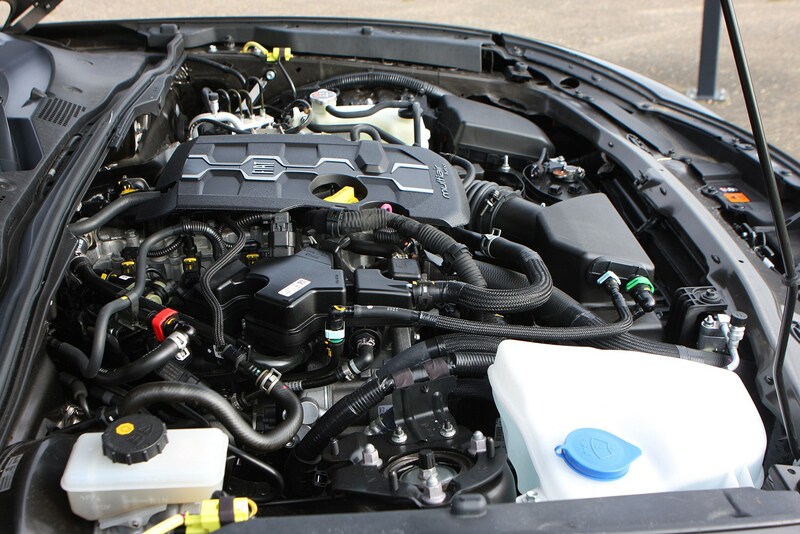 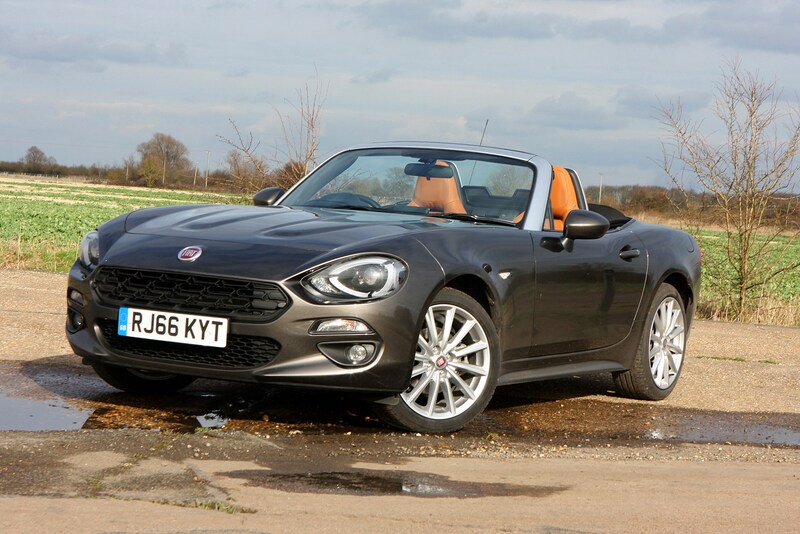 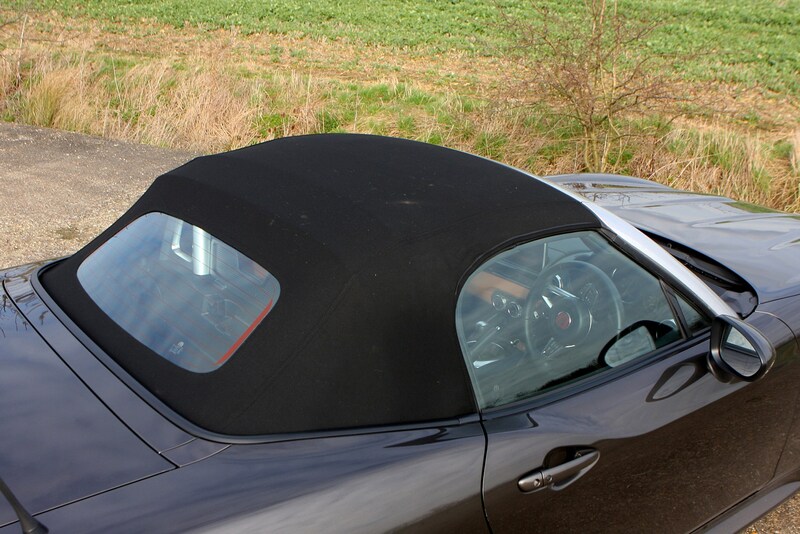 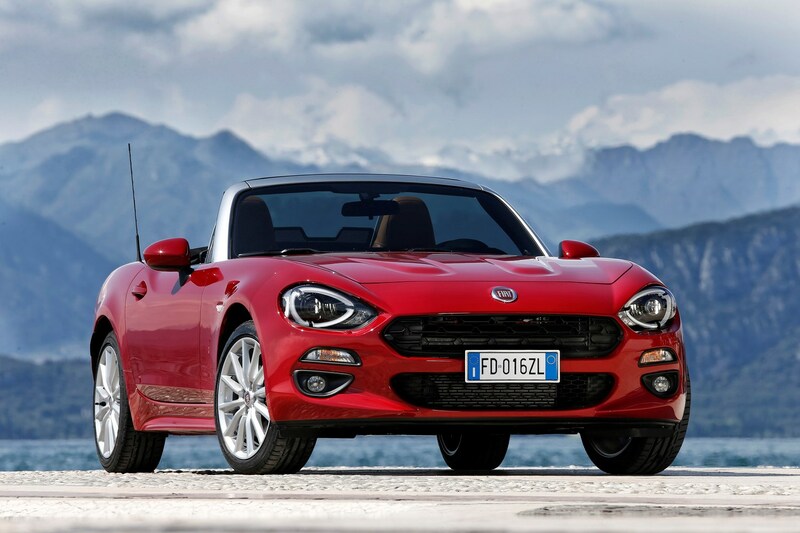 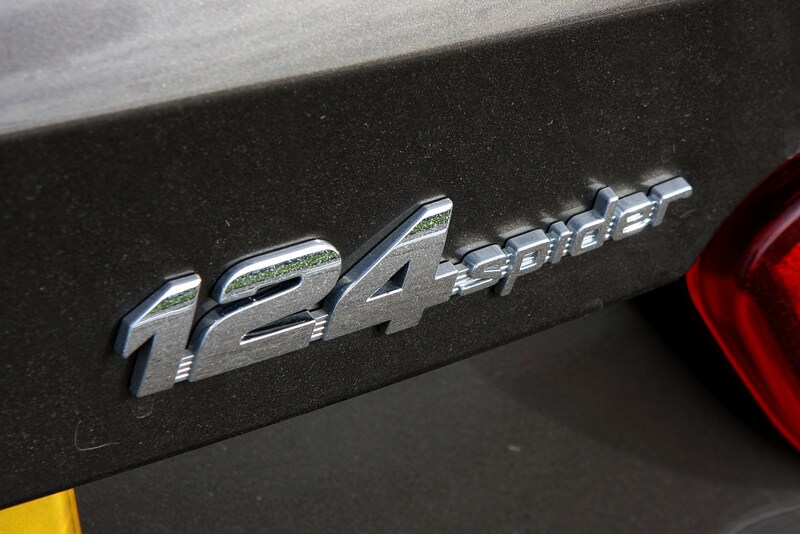 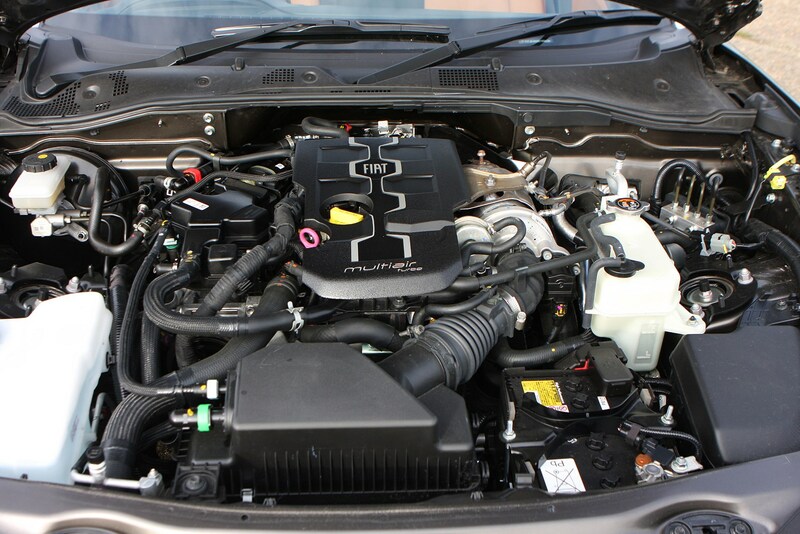 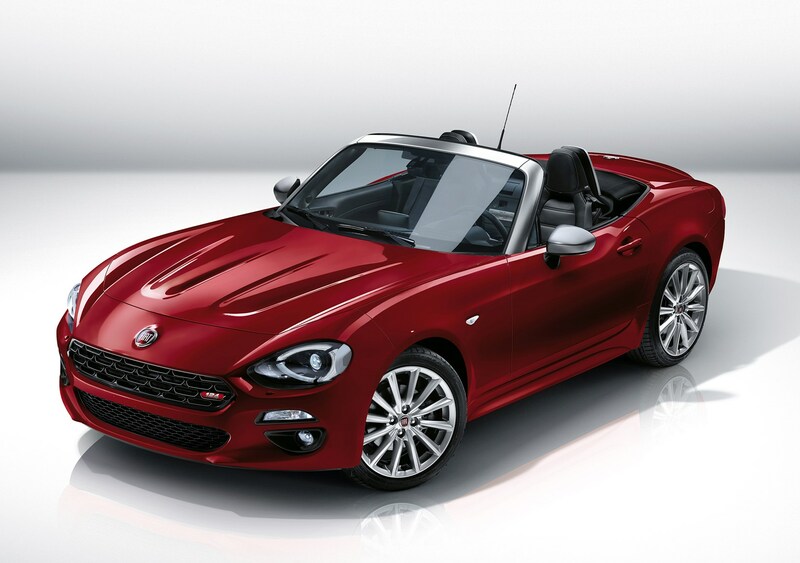 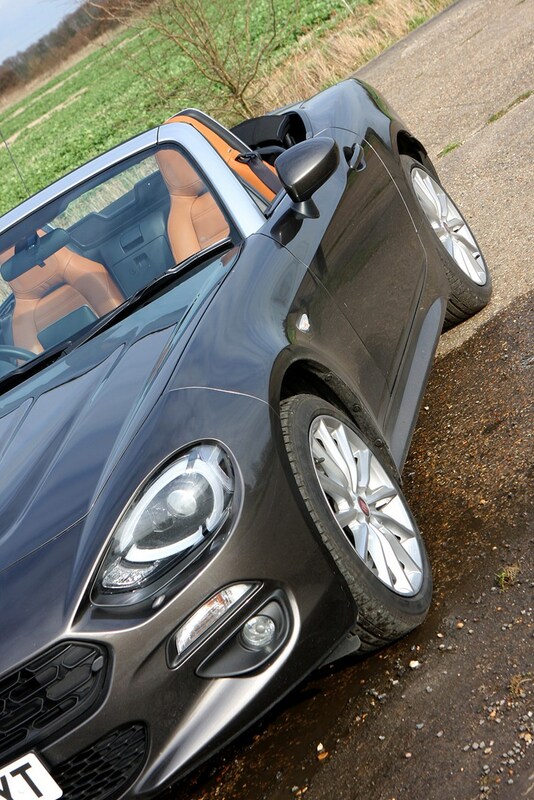 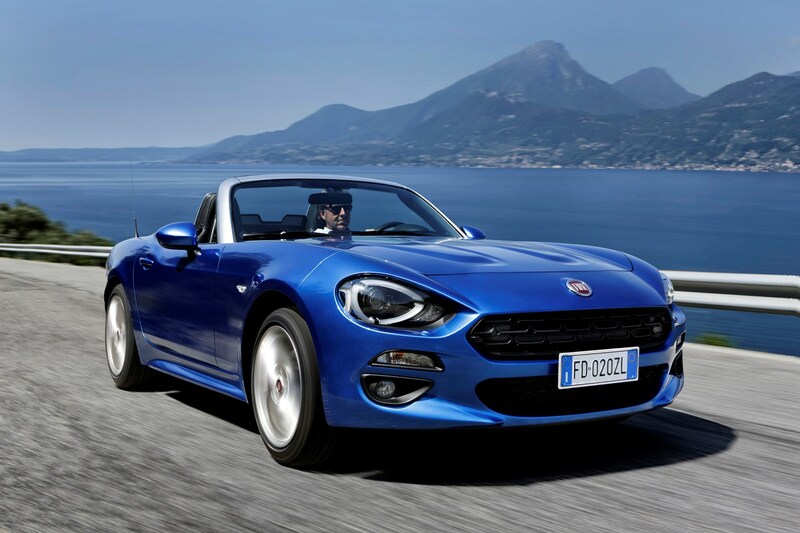 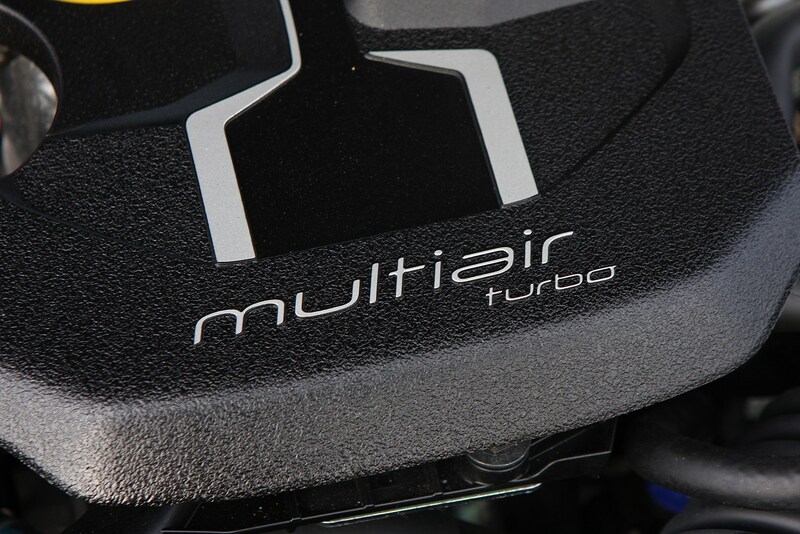 The basic equipment list includes equipment that is standard across all versions of the Fiat 124 Spider. 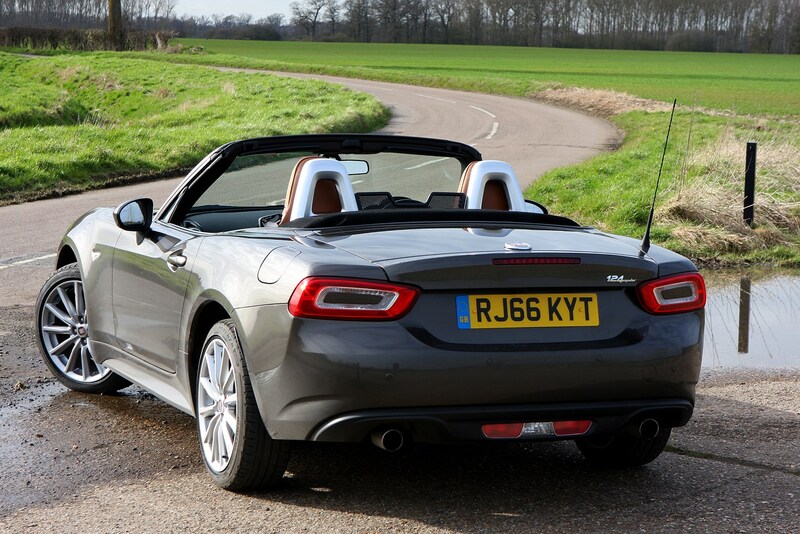 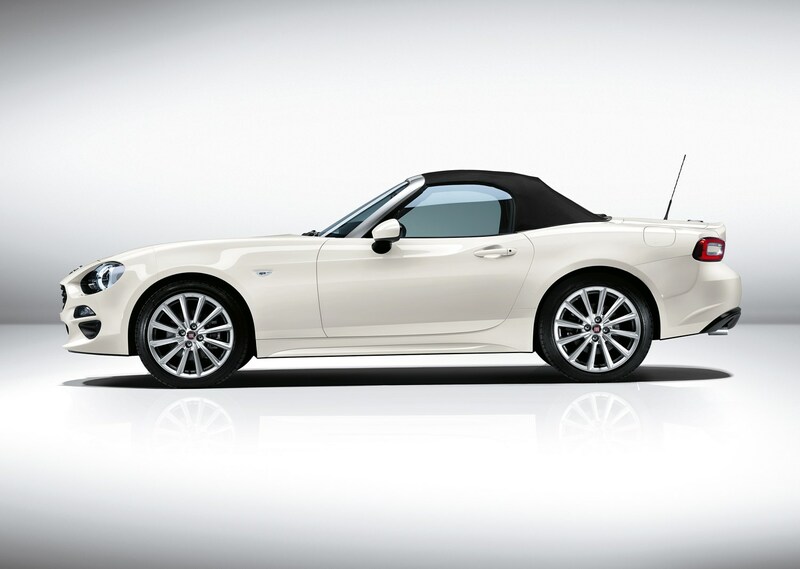 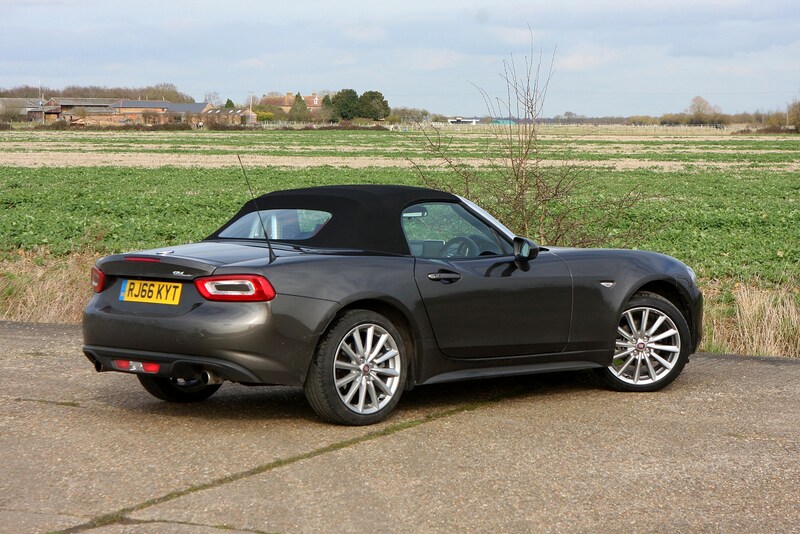 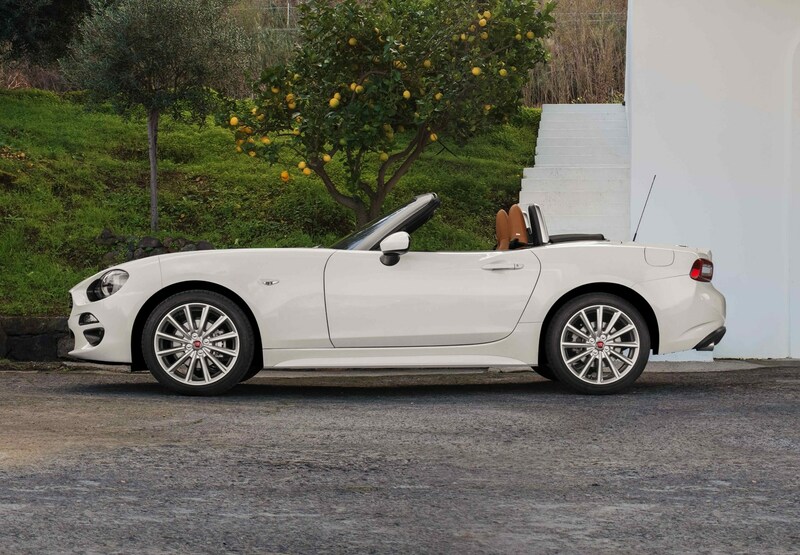 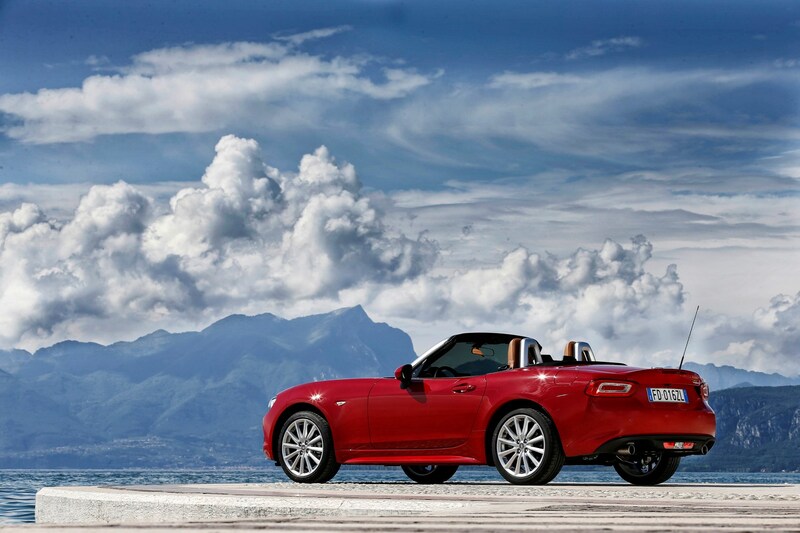 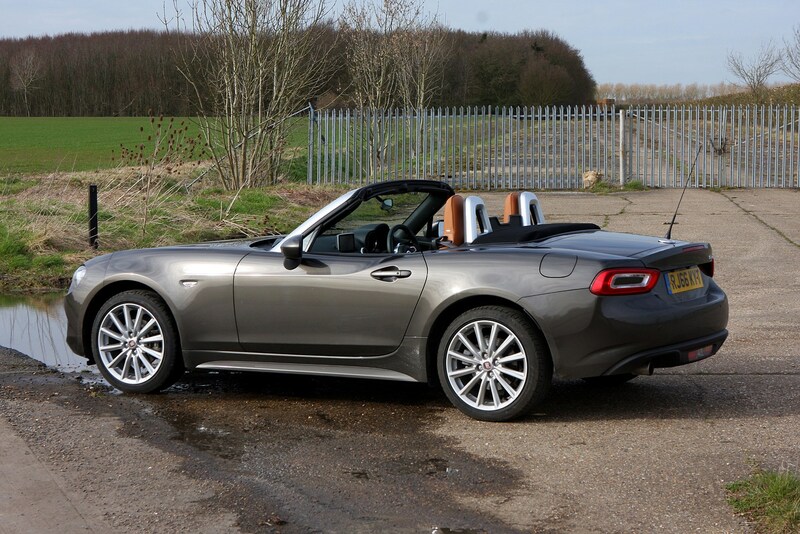 While the Fiat 124 Spider hasn’t been crash-tested by Euro NCAP, the Mazda MX-5 on which it is based scored four stars. 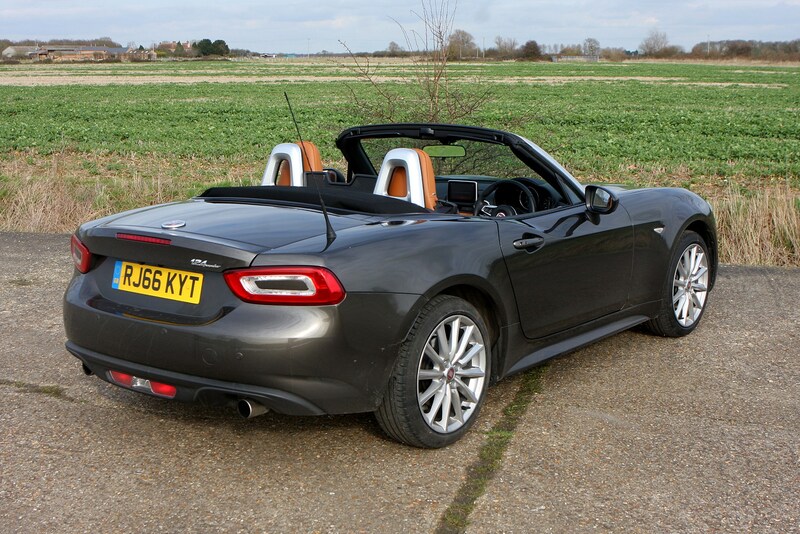 This doesn’t sound overwhelming but it was the best roadster tested in 2015. 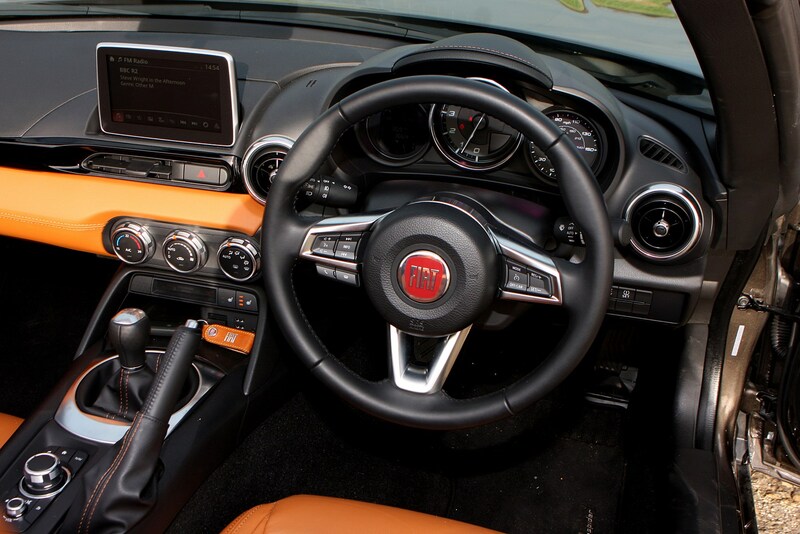 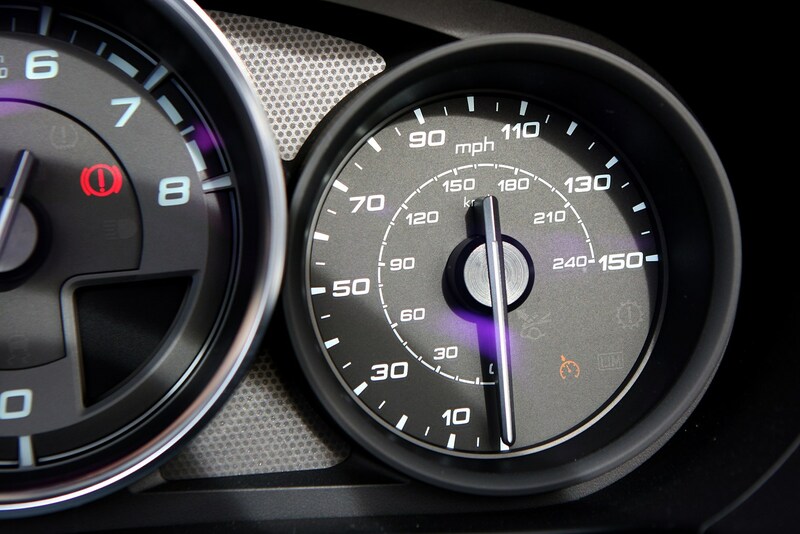 You get lots of active and passive tech including a voice-controlled entertainment system, LED rear lights, four airbags, a speed limiter, and ESC with ABS and EBD – all as standard. 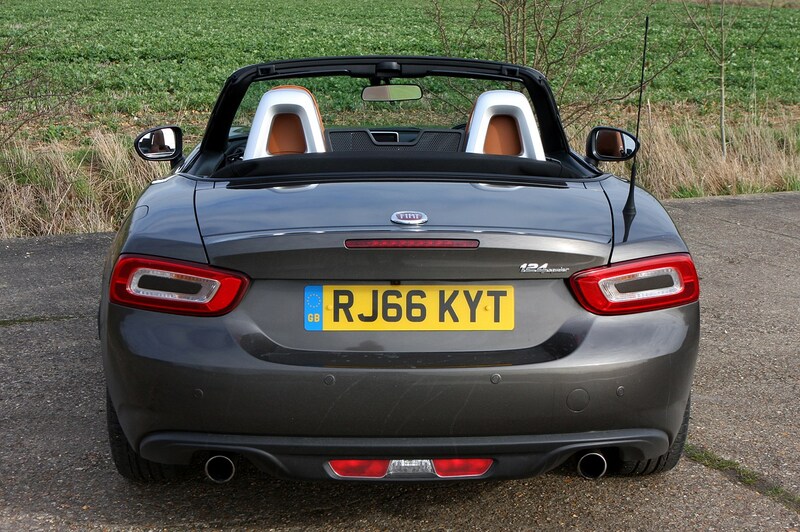 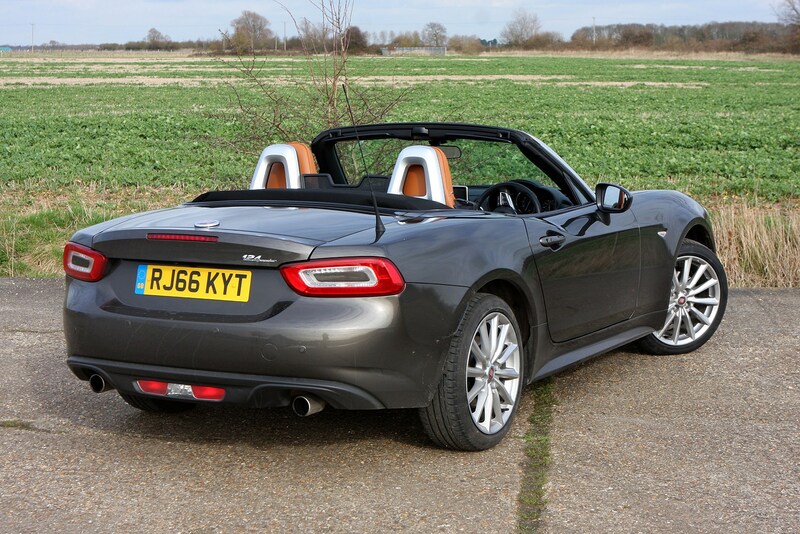 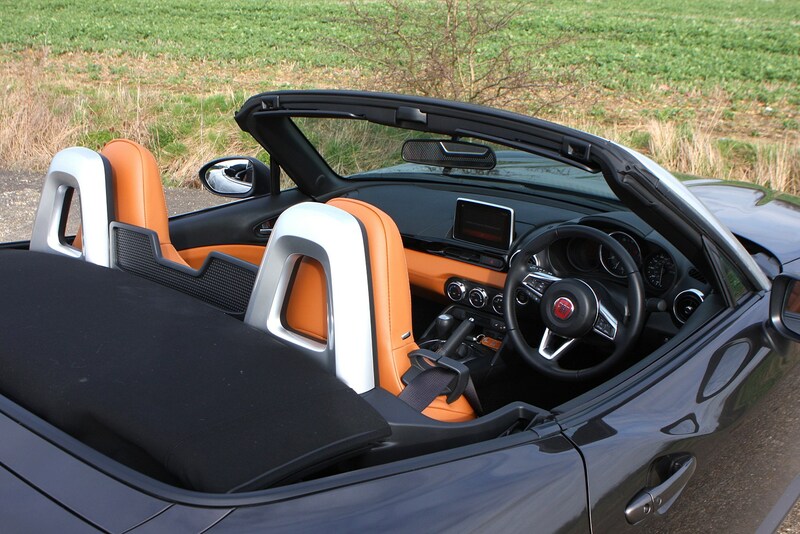 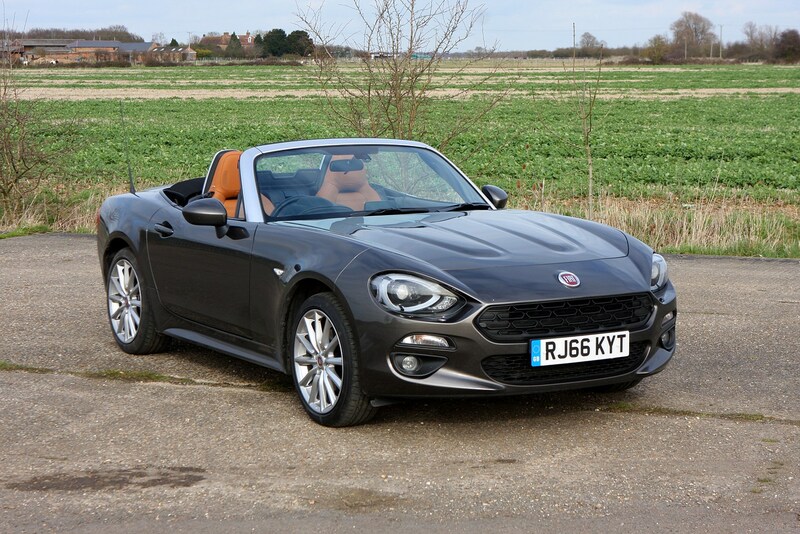 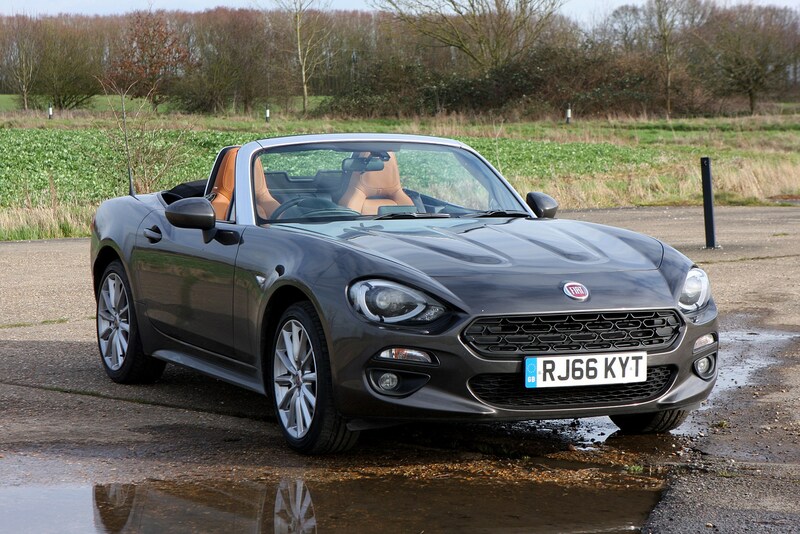 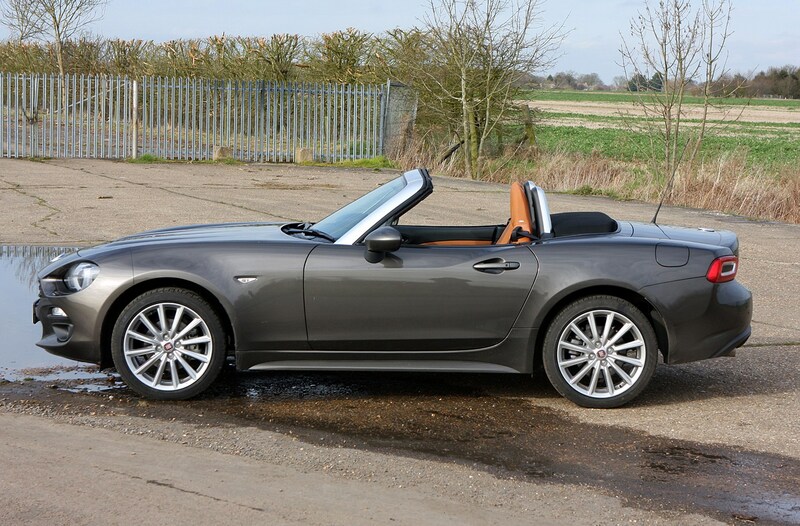 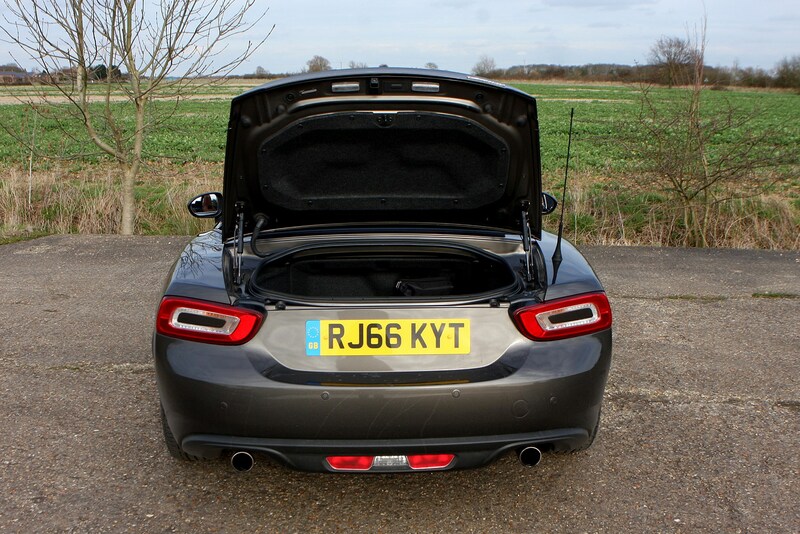 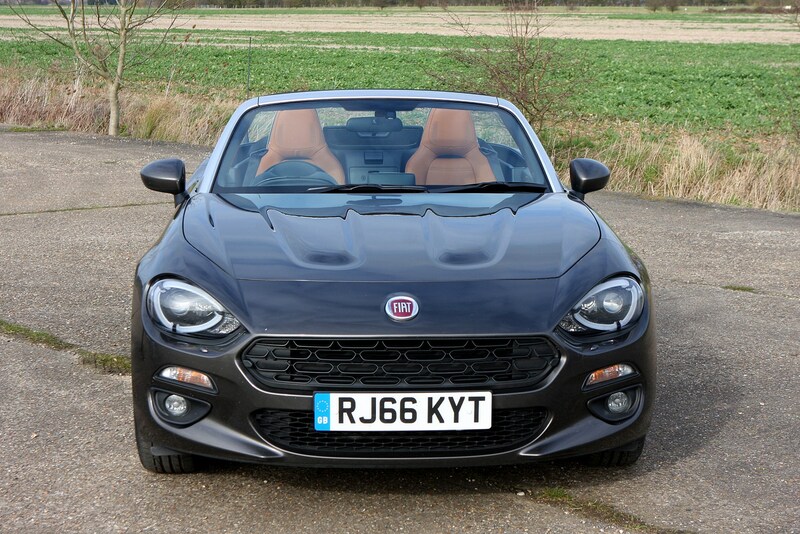 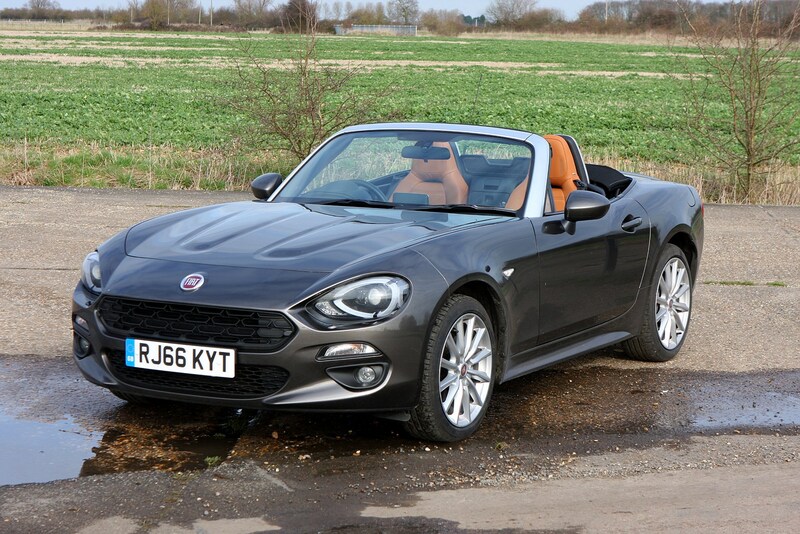 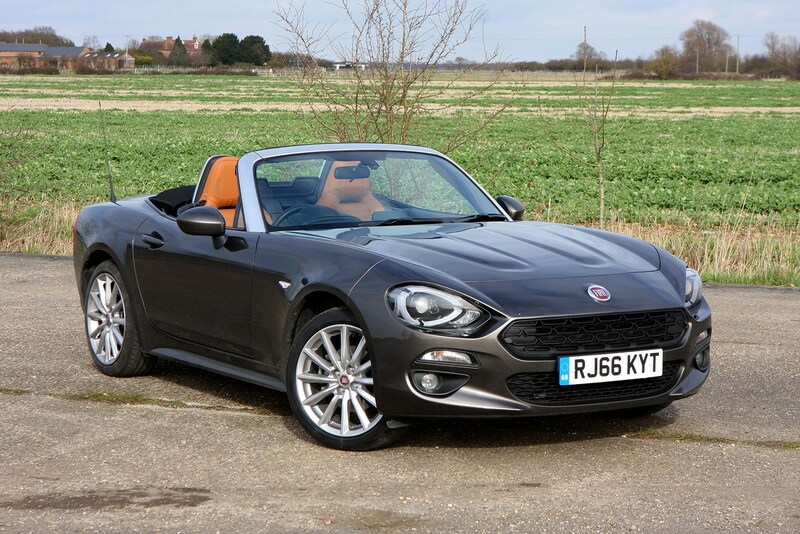 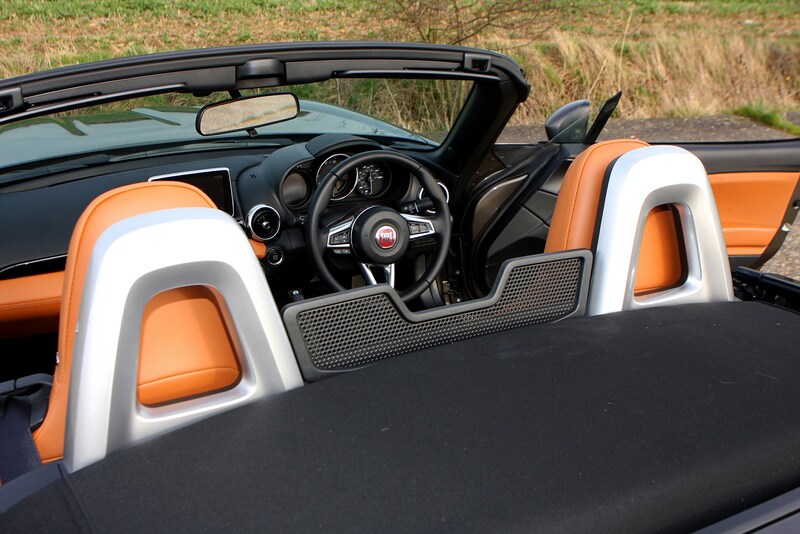 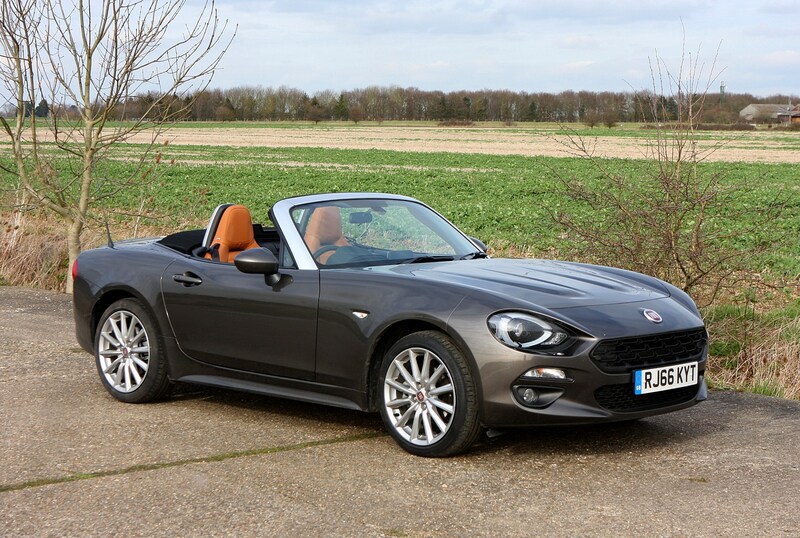 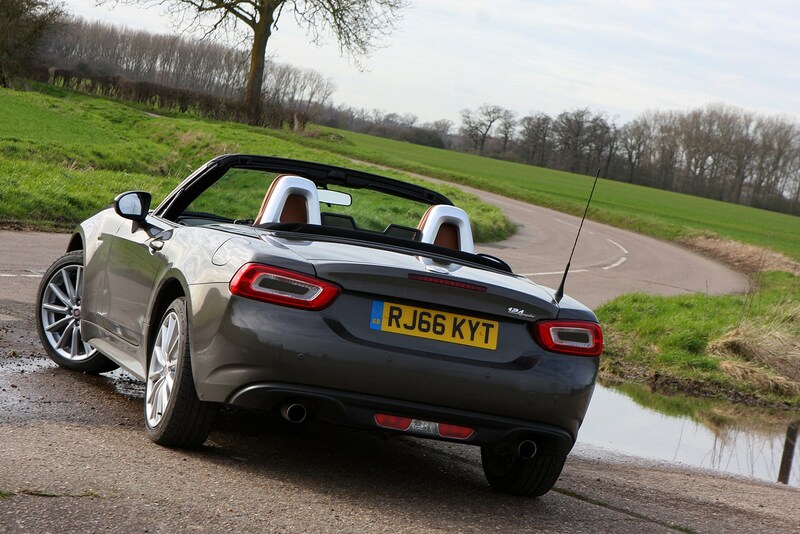 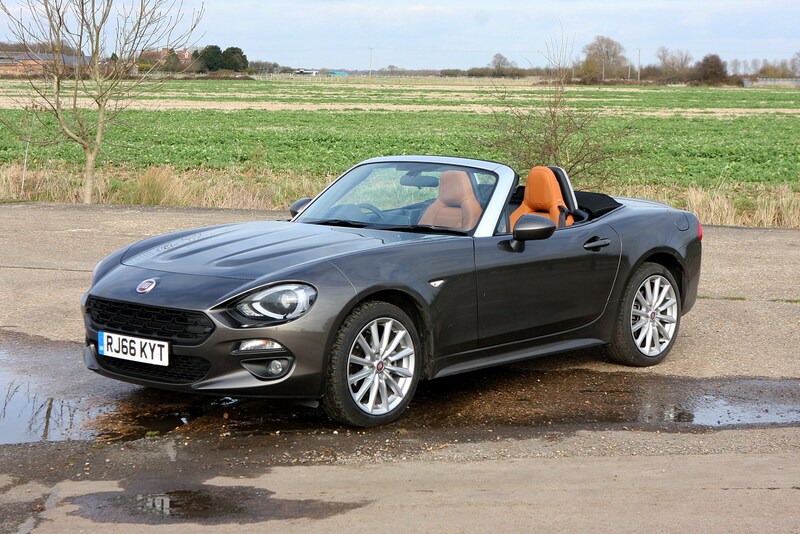 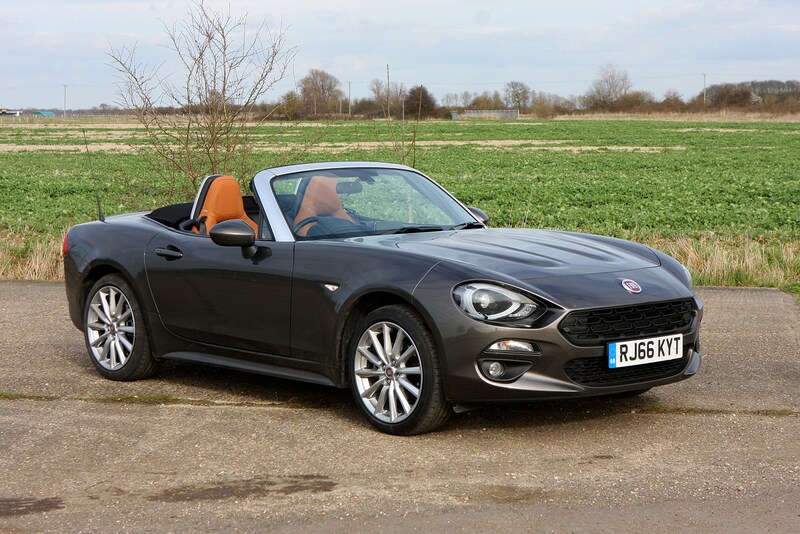 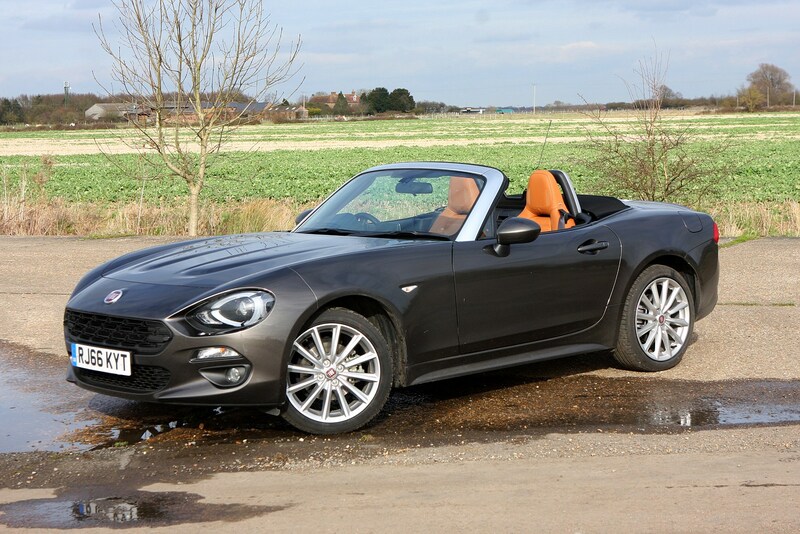 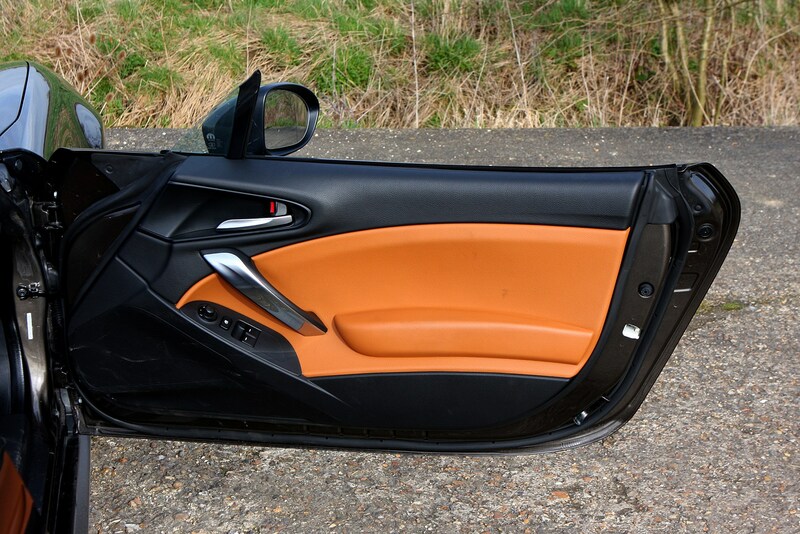 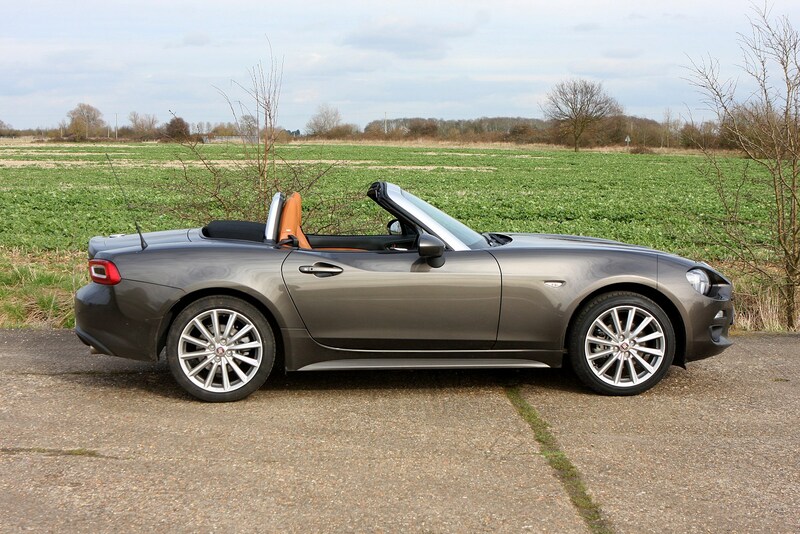 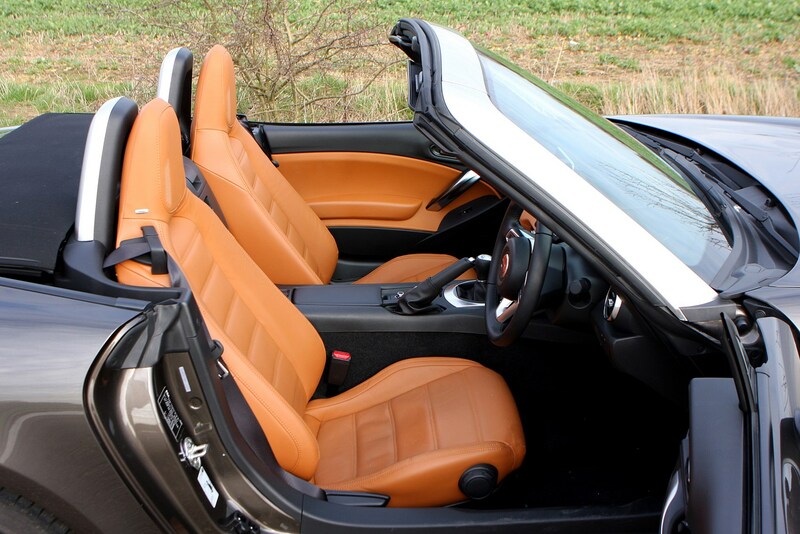 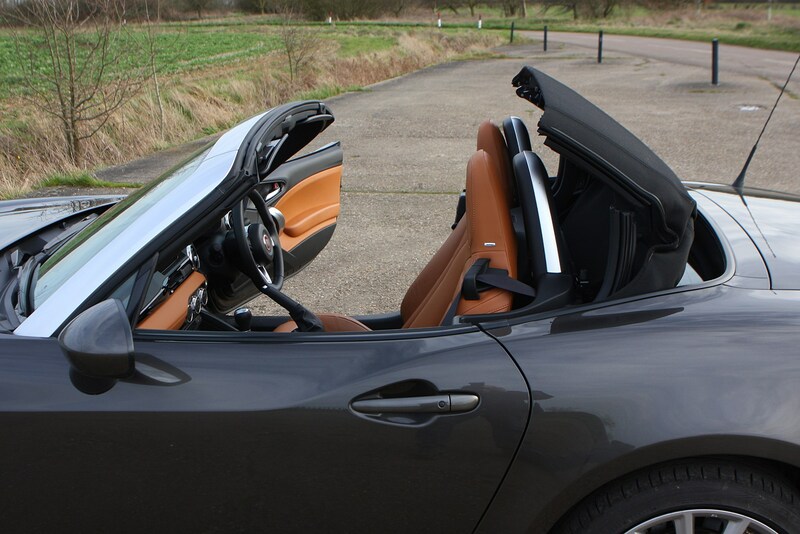 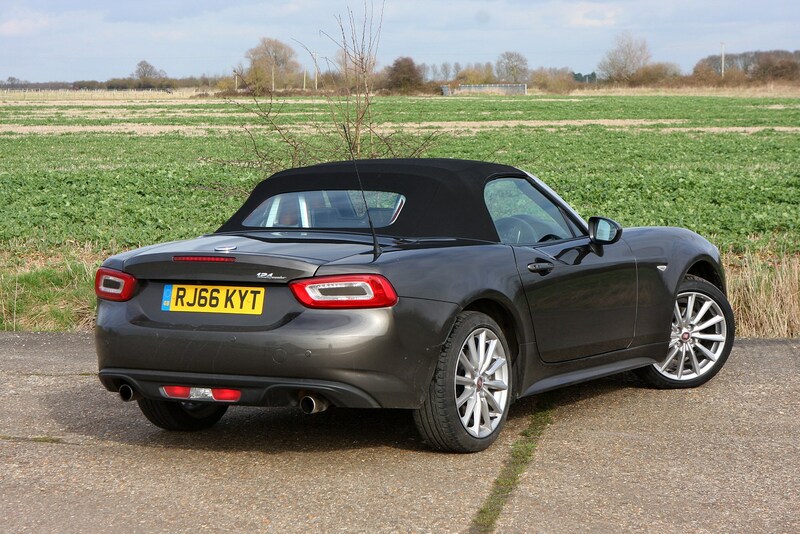 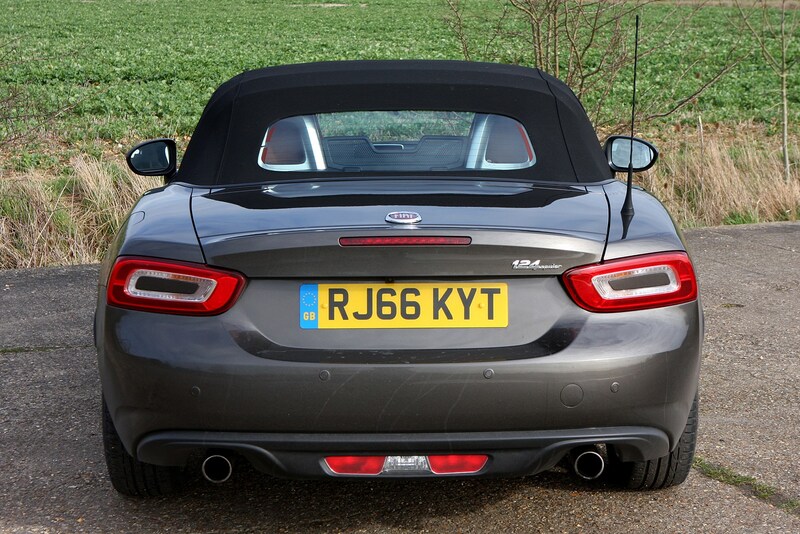 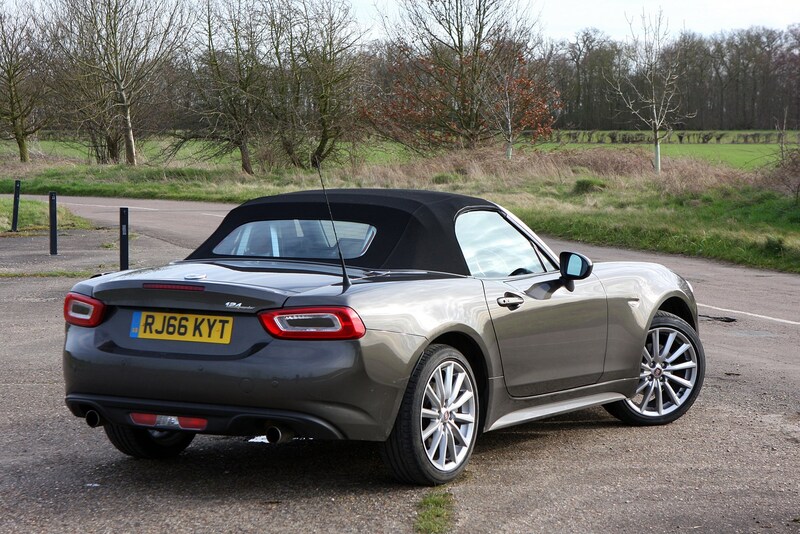 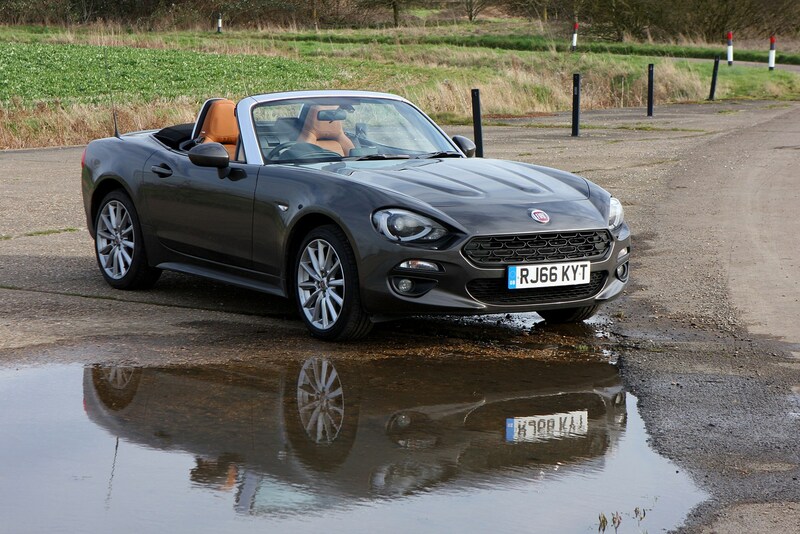 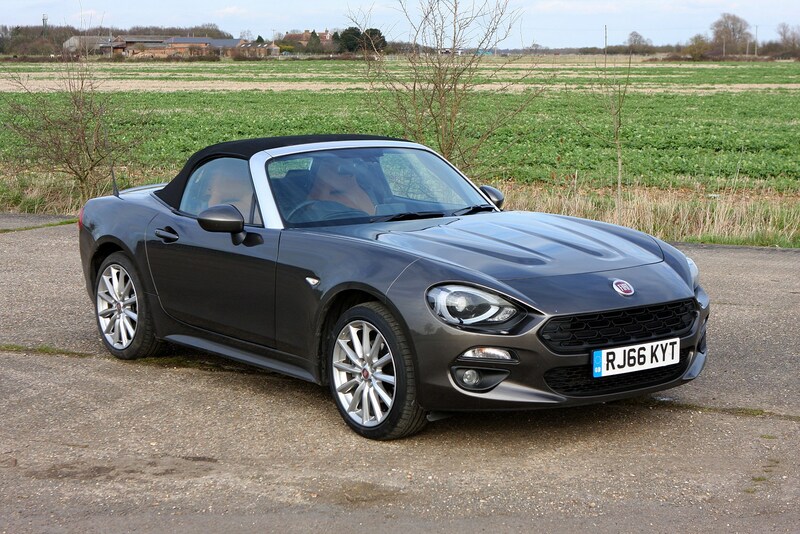 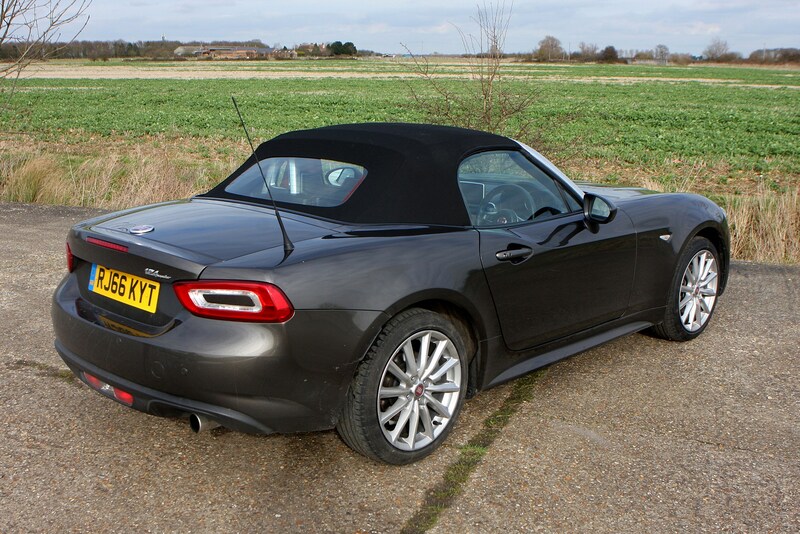 If you want bags of interior space and boot capacity then you may be disappointed by the Fiat 124 Spider, but by sports car standards it’s actually pretty good. 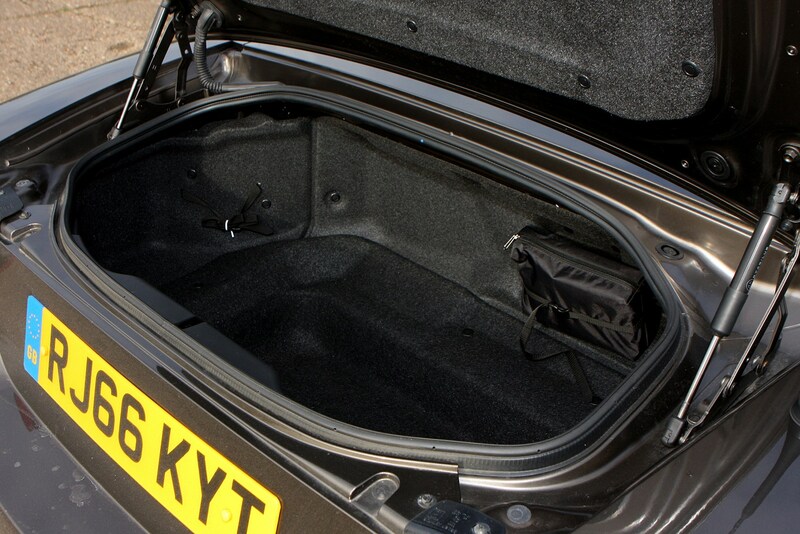 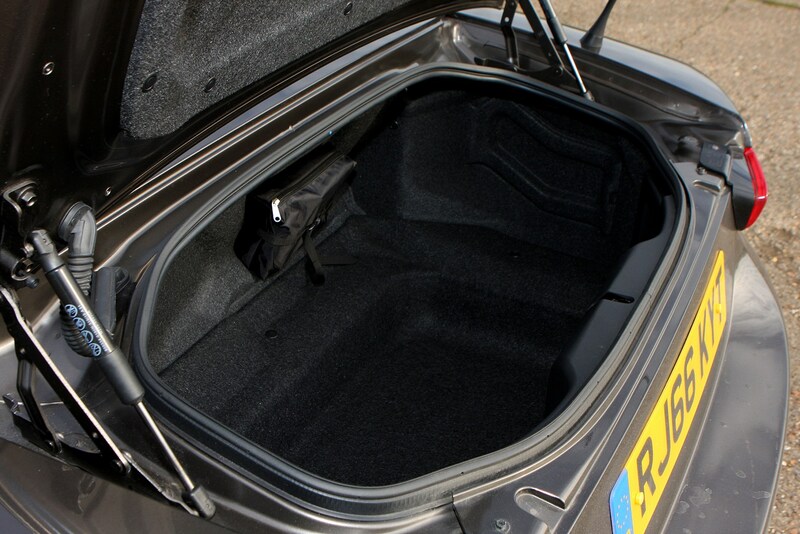 There’s a 140-litre boot which is big enough for a couple of weekend bags. 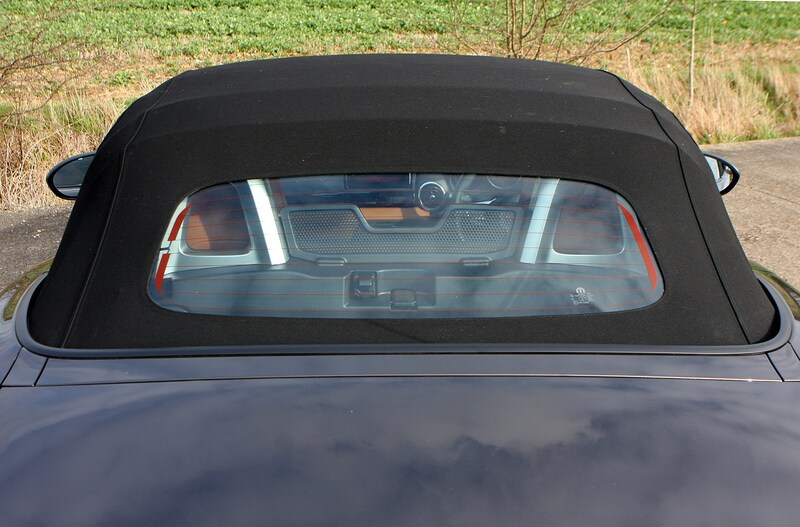 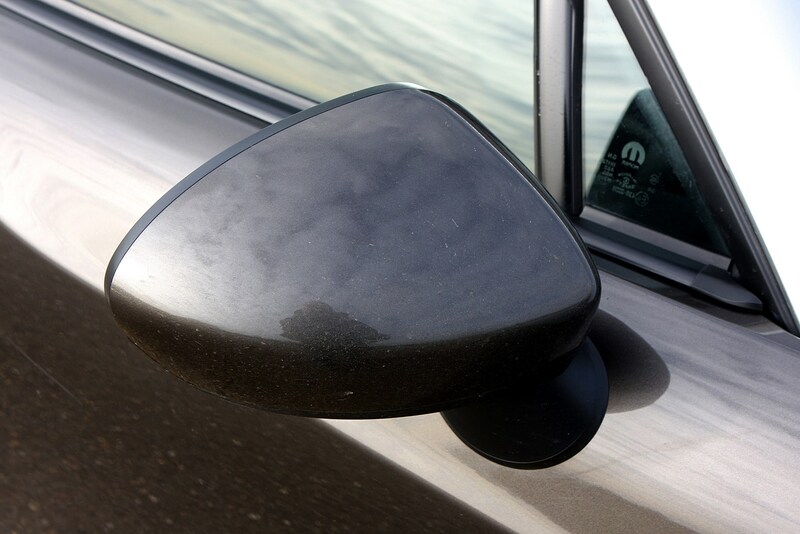 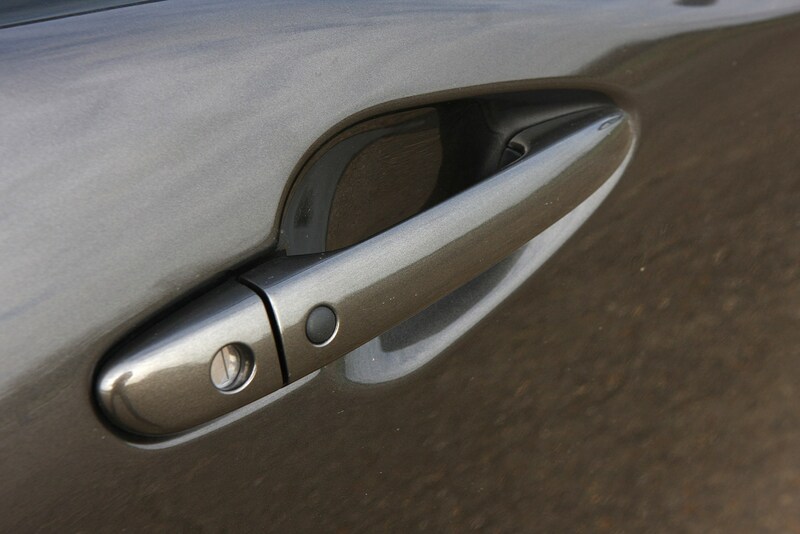 Taller occupants may struggle – the driver will find it hard to get comfortable and the passenger might find the top of their head in the airstream whistling across the top of the car. 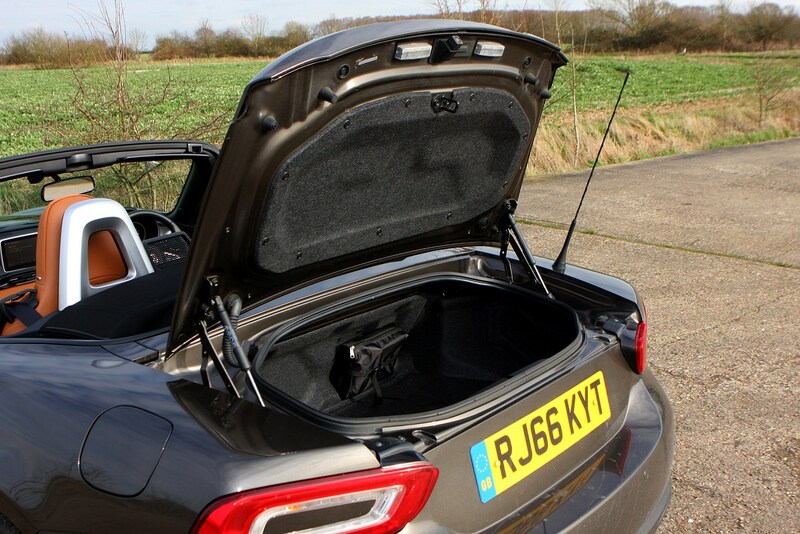 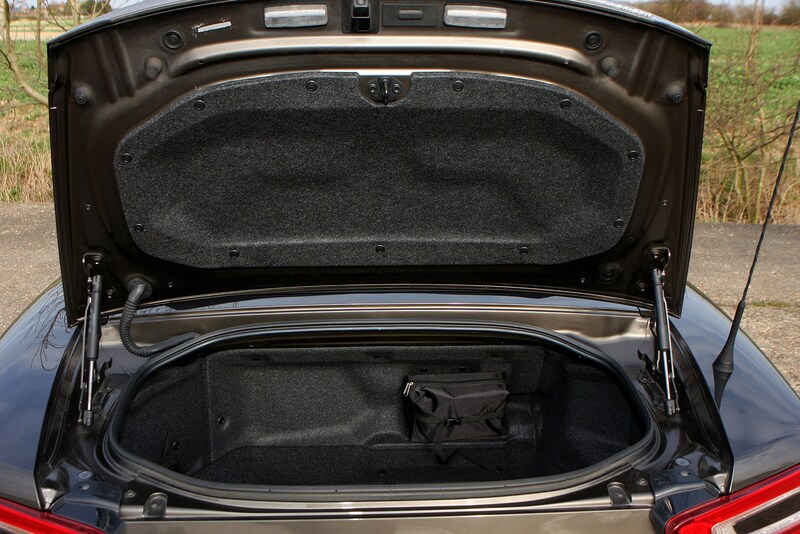 Check the table below to see how the Fiat 124 Spider compares to other similar cars in terms of available boot space.